A long pause had always been part of the plans for the day, but this was extended further on account of the rather rubbish forecast for the afternoon which promised grey skies and heavy rain. Polish weather forecasts are clearly no more reliable than British forecasts as I saw the sun streaming into my room continuously all afternoon with blue skies for a fair chunk of this. Inevitably, it was only when we got going that the clouds gathered once again! 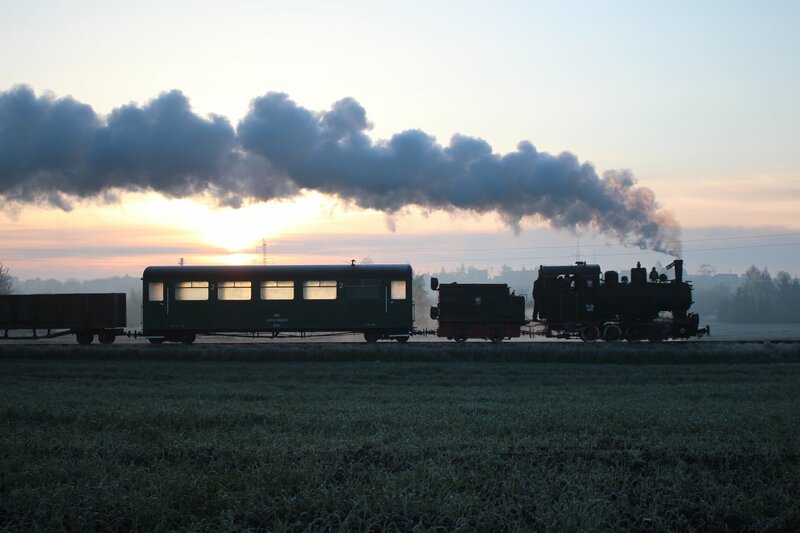 Our photographic endeavours re-started with the departure of our train for Gąsawa at 4.35pm. 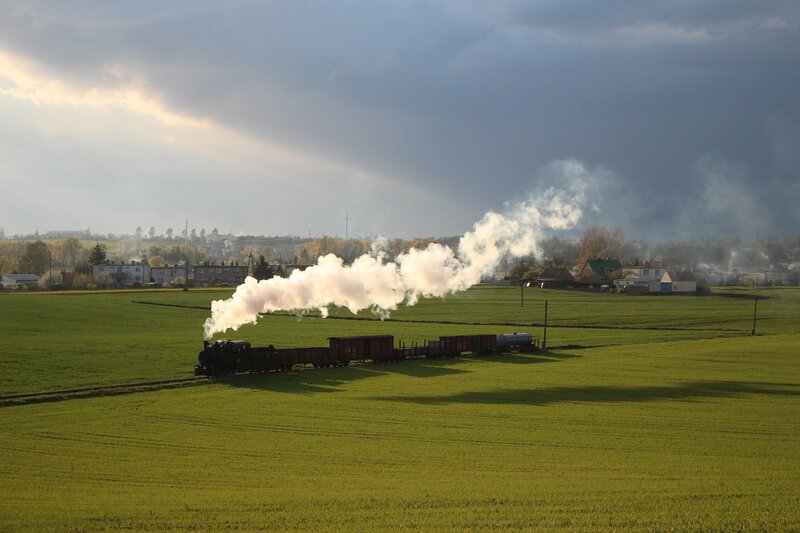 Some lovely shots followed, including one from across the fields at Biskupin where we forgot to check the path of the clouds before calling the train. 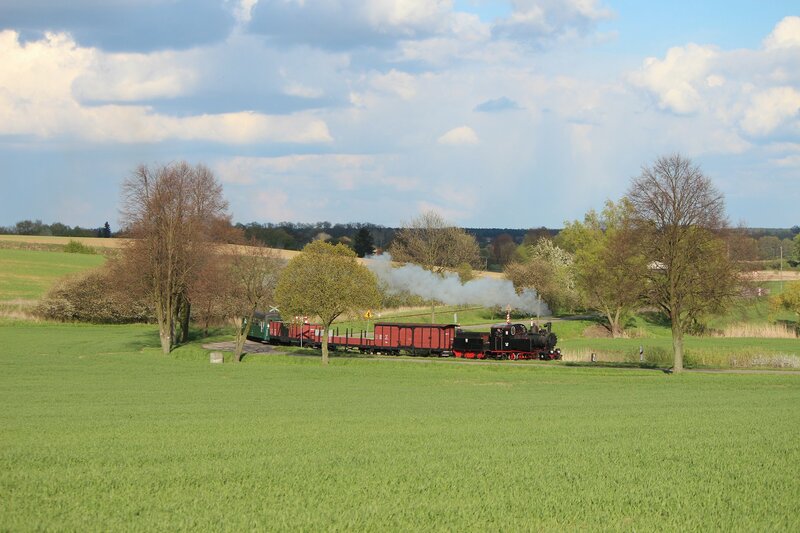 The sight of shadow crossing the field towards the line was striking but we just got the train in sun! 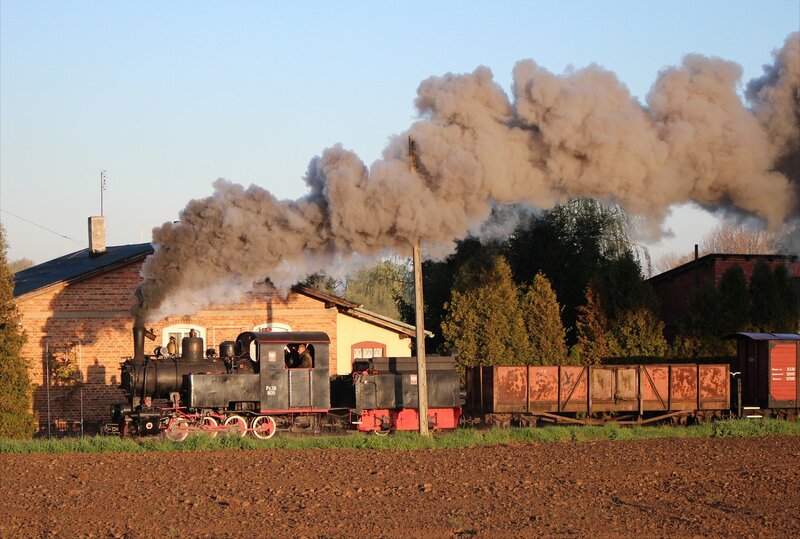 We were treated to some terrific opportunities for glint shots on the line between Wenecja and Żnin before the sun finally set on our day of photography. 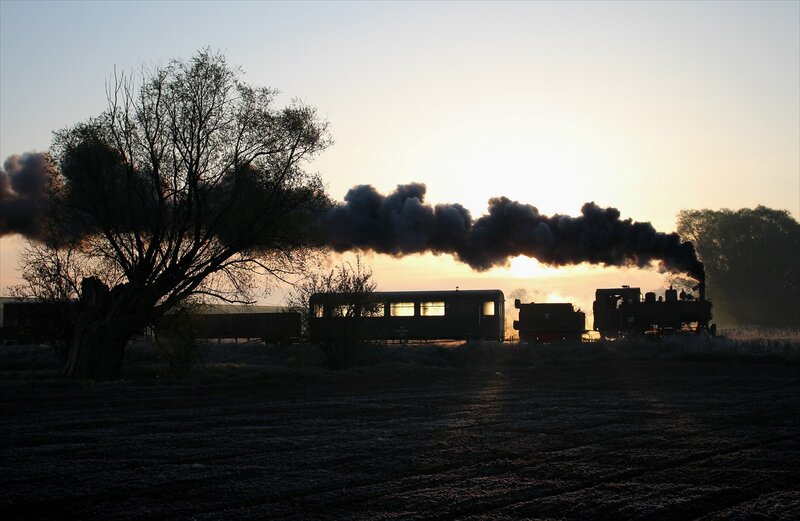 A short night shoot followed in Żnin, taking advantage of a lovely setting with a turntable, roundhouse and water tower. However, I was lucky to get anything from this with some rather reluctant lighting and a tripod that was falling to pieces. 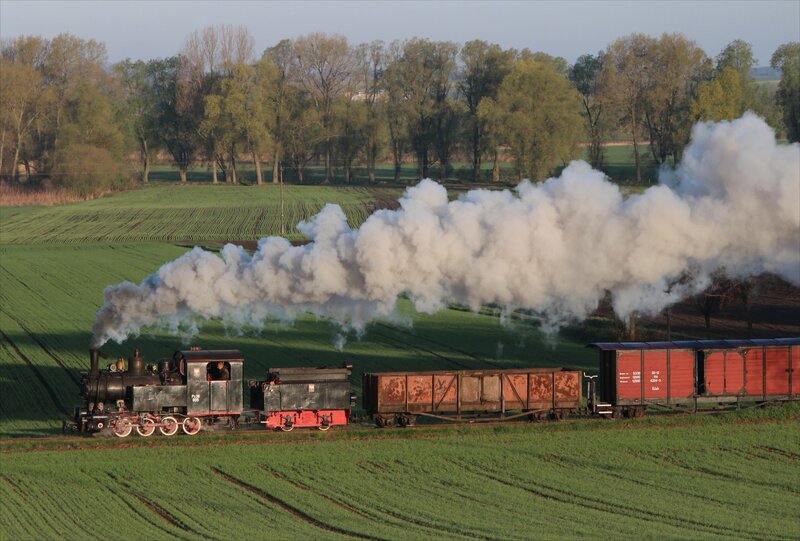 I have loved the two full days of photography on this line and it has really brought home to me the delights of narrow gauge lines in Poland, of which a good many still survive in varying degrees of health. 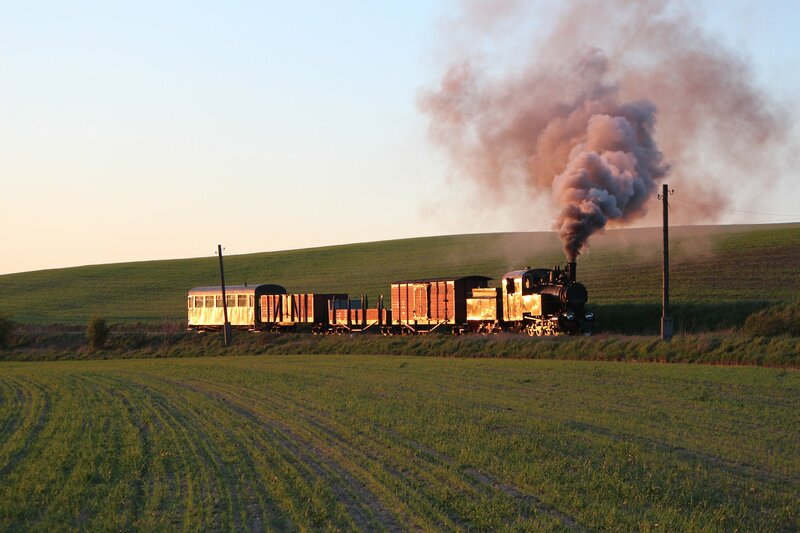 I would certainly be keen to check out some of the other lines and will have to take a good look at the useful guide to the lines still in operation on the Narrow Rail website to get some inspiration for my next trip! 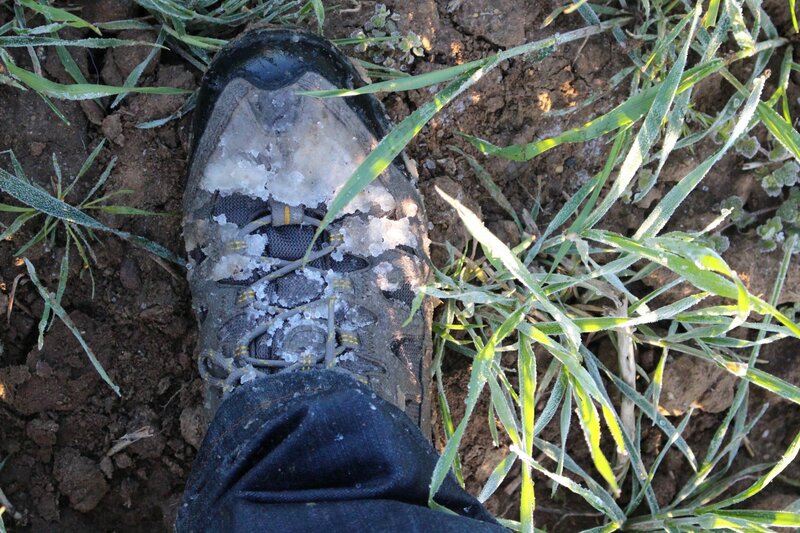 Fog, frost and very wet feet! Morning arrived with thick fog and a layer of white ground frost which proved wonderful for photography, if a trifle cold. I hadn’t thought to bring warmer clothes having associated late April with somewhat warmer weather. In fact the opening temperature of -1 was a record low for the area and quite a contrast to the temperatures of a year earlier (a range of 5 to 22 degrees last year, compared to -1 to 7 degrees this year). 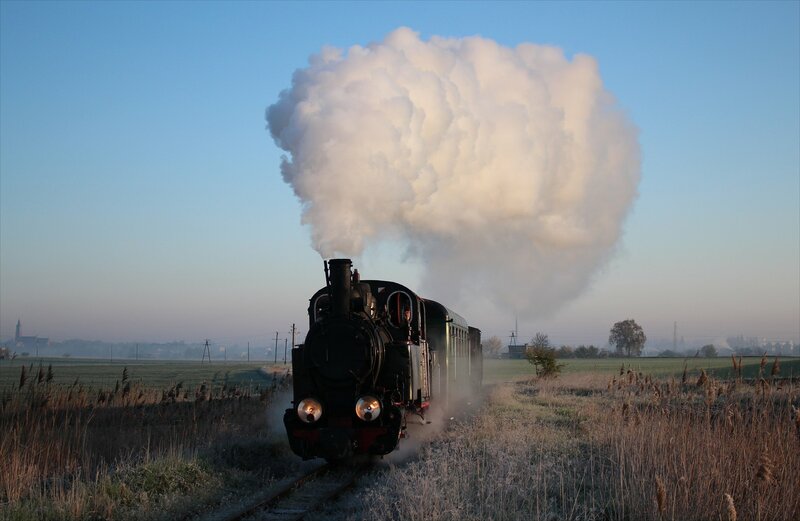 We weren’t the only ones out in the cold – we saw a small herd of deer scampering away from the train at Żnin, storks in the fields and skylarks in the air. It was quite a way to start a day. Trudging our way up one hill through the icy grass ensured that we all had thoroughly wet feet before long, which was also sufficient to coat our shoes in a layer of ice. However, the view from the hilltop and the reflection shots that we got down by the ponds were ample reward for the misery of squelching our way through the rest of the morning. Nevertheless, it still took some effort to distract ourselves from the knowledge that our socks were getting progressively wetter until entirely sodden! A lesson in how to get wet icy feet! The temperature had nudged up to 2 degrees by 7.30am – not the greatest improvement in temperatures that I’ve ever seen, but every little helped. 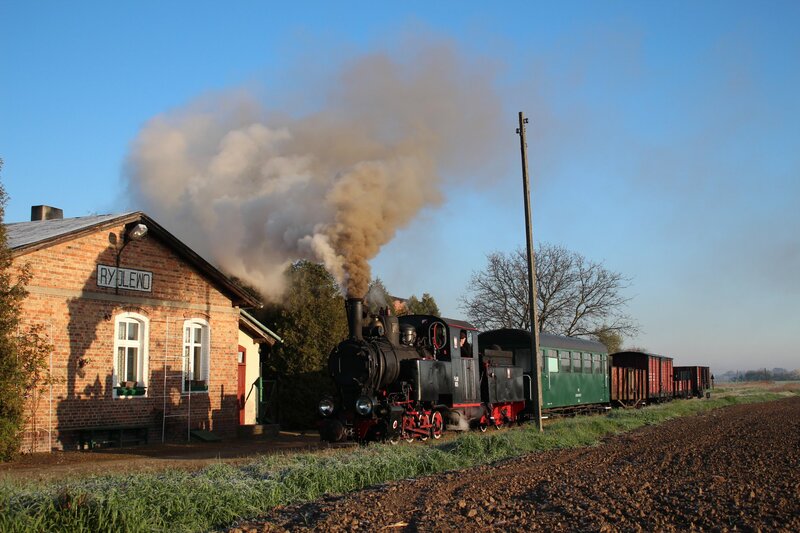 We made a water stop at Wenecja between 7.55am and 8.05am and then continued on our way towards Biskupin. A forecast of continuous rain from 10am to 7pm loomed over us as the morning wore on. However, the results of our early start had been so great that it really didn’t matter if that turned out to be the hand we were dealt. The quality and quantity of shots in the first three hours of the day was quite astonishing. As it happened, the clouds began to close in on us as we tried a shot at Biskupin around 8.30am and the light had gone completely by the time we reached Gąsawa an hour later. 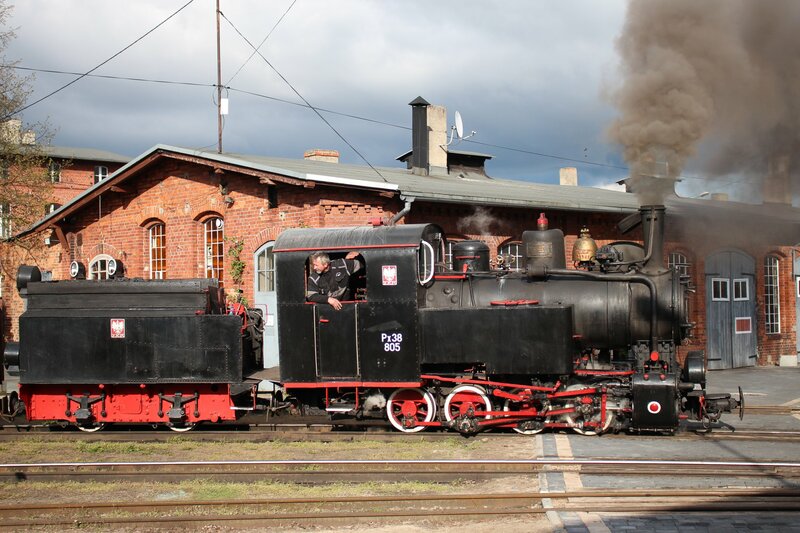 It was good timing for some tender-first running to get us back to Żnin. 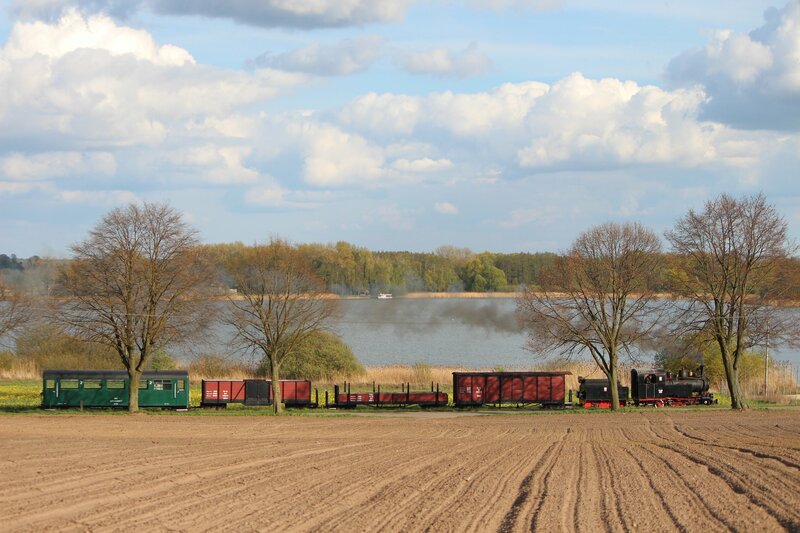 The occasional burst of sunlight lured us from the comfort of our single passenger coach, such as a tender first shot at Wenecja with the church and the lake in the background. 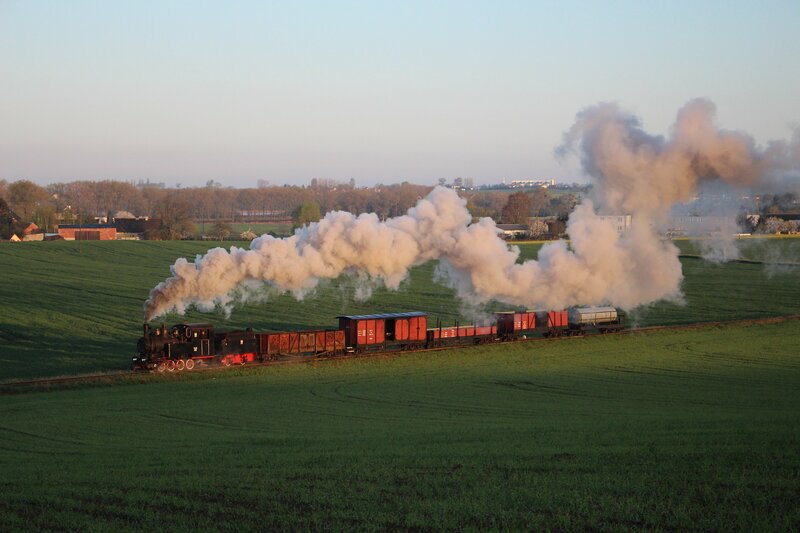 It was a tight call though – the light faded from the church as we waited but remained on the loco just long enough for us to get the shot. 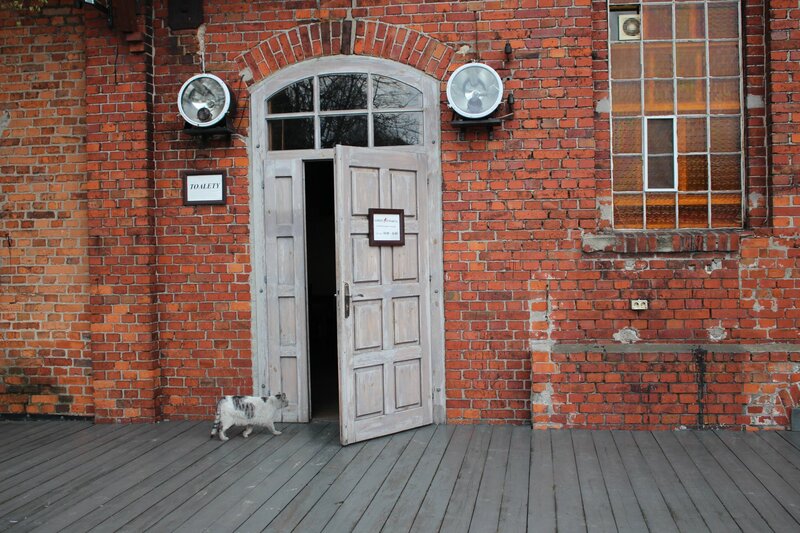 After reaching Żnin at 10.40am we had a break of just under an hour, time enough for me to replenish my supplies at the local supermarket, take a look inside the loco shed and make the acquaintance of the depot cat. The long anticipated rain finally arrived at 11.43am by which time we were on our way back to Wenecja. 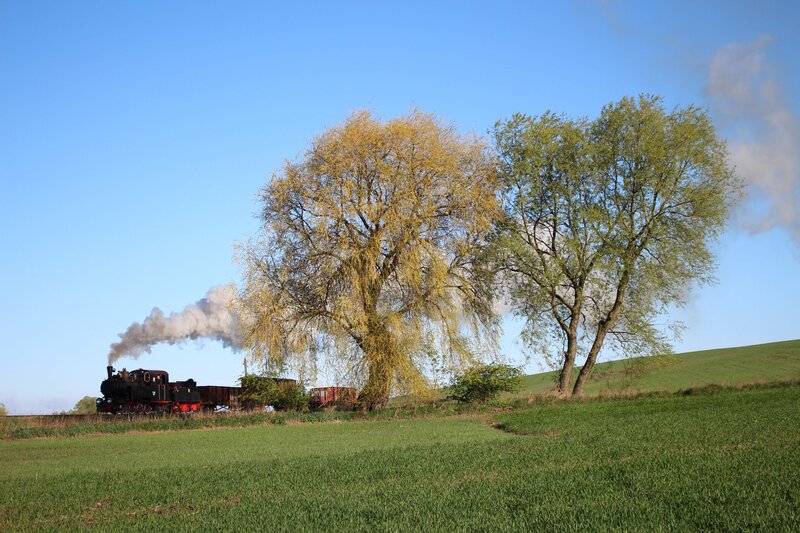 On the way back we could only make a couple of stops as a private diesel charter for a school party was following us down the line. No-one had really expected to get any decent shots from this run so the two photo opportunities we got in sun coming out as we approached Wenecja thoroughly deserved the label of ‘bonus balls’. We were really lucky with this, for shortly after our arrival at Wenecja it started to rain more heavily. Timing was everything! 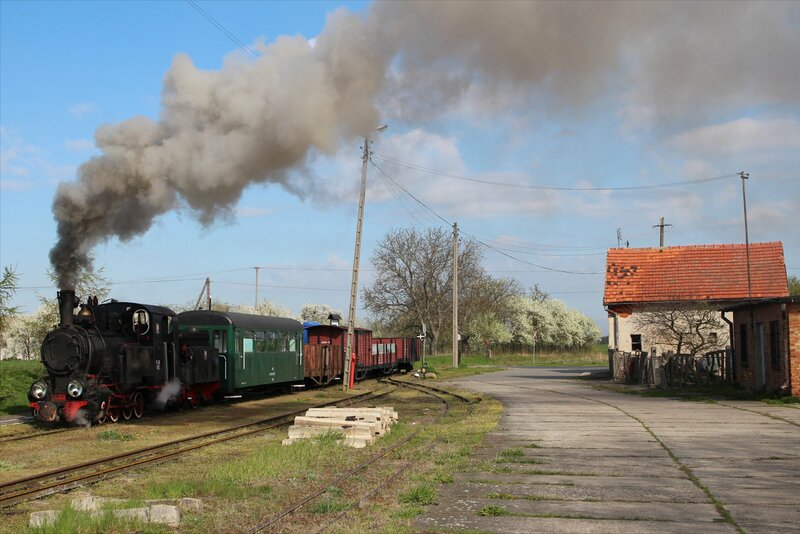 After our unexpected trip around the curve we returned to the depot at Żnin, picked up the rest of our consist and headed back down the line towards Wenecja for the final three hours of daylight. As the end of the day drew closer the crew told us that they were short of water and this threatened to scupper our chances of a sunset shot. 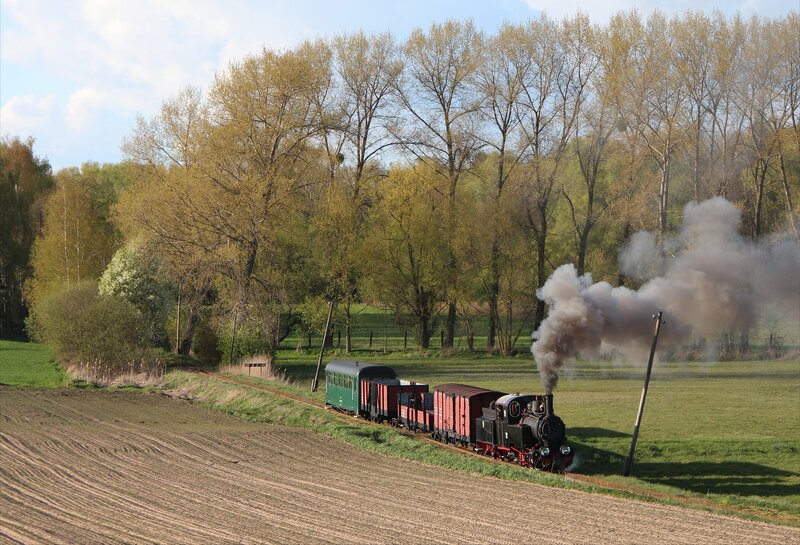 The only hope was for the loco to drop the wagons and run light to Wenecja, fill up with water and come back to us. Arghh…. 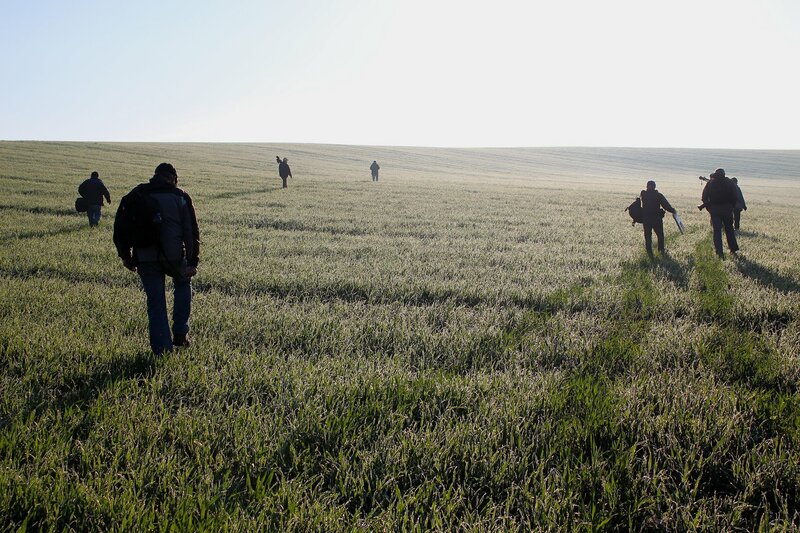 We remained in the fields, watching the light fade. 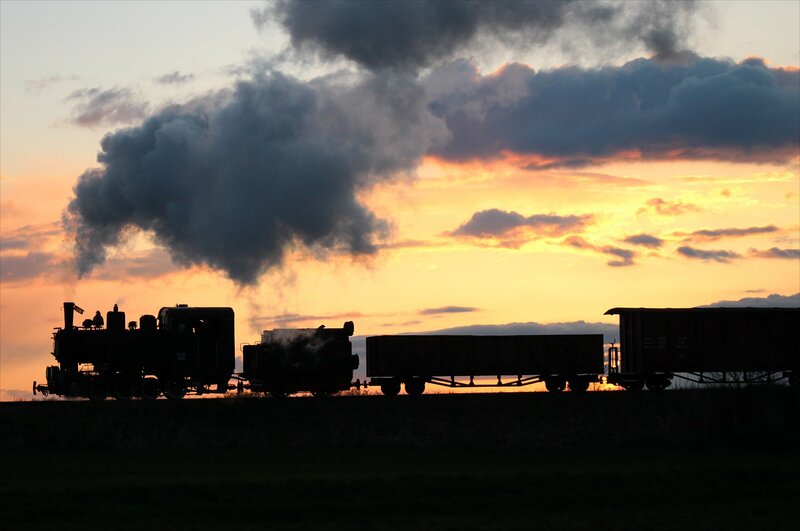 It was a tight one, but Px38 805 did indeed make it back in time for the last moments of sunset. 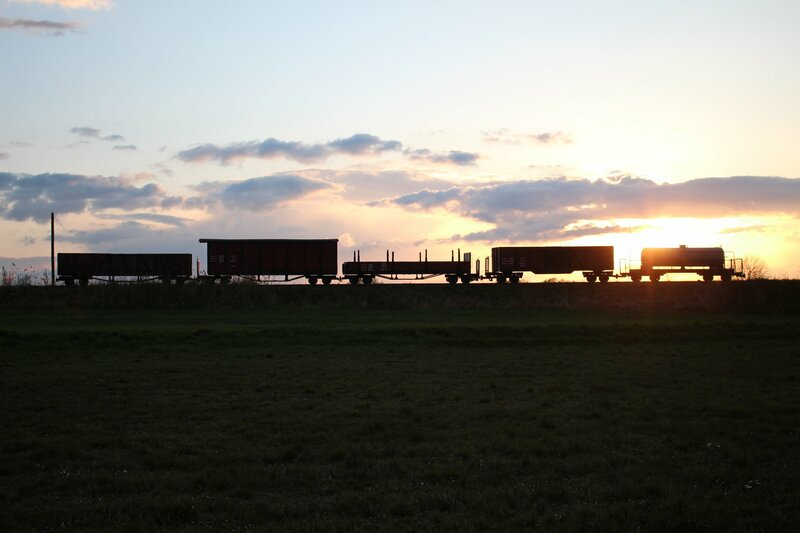 I was relieved that my glint shots of the loco-less wagons were not all there was to show for the wait. Our last shots were taken at 8pm. 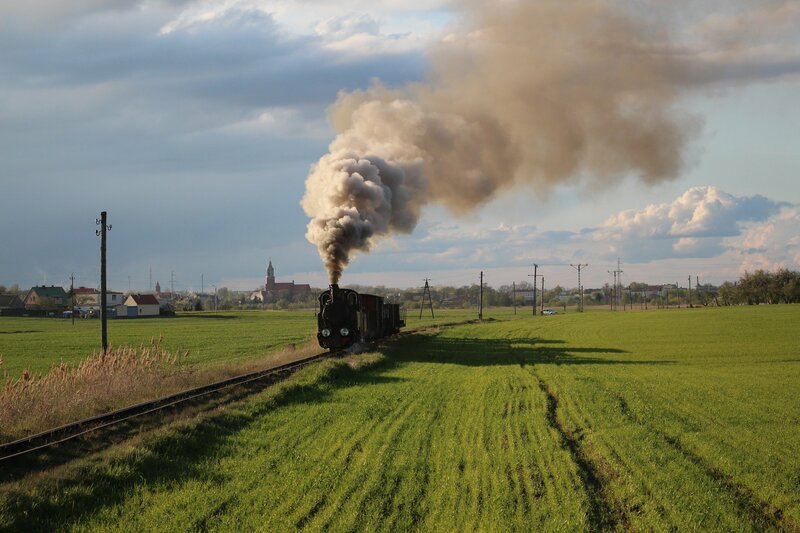 We gathered up our photographic kit and headed over to the nearby level crossing for a bus back to the hostel. A warming meal of Polish style pizza (of an unfathomable but tasty flavour) and tea was the perfect antidote to a long day in the cold. 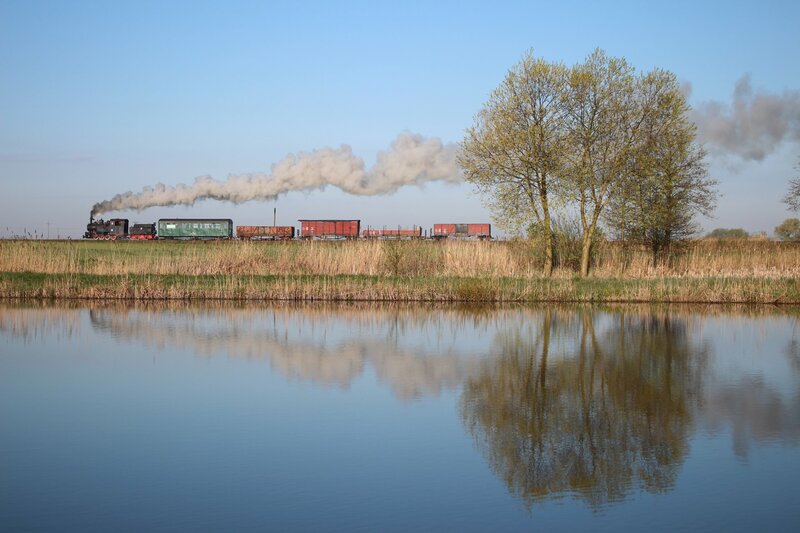 No-one could have any complaints about the day with such an array of photographic opportunities, but whether we all made the most of them is another matter! 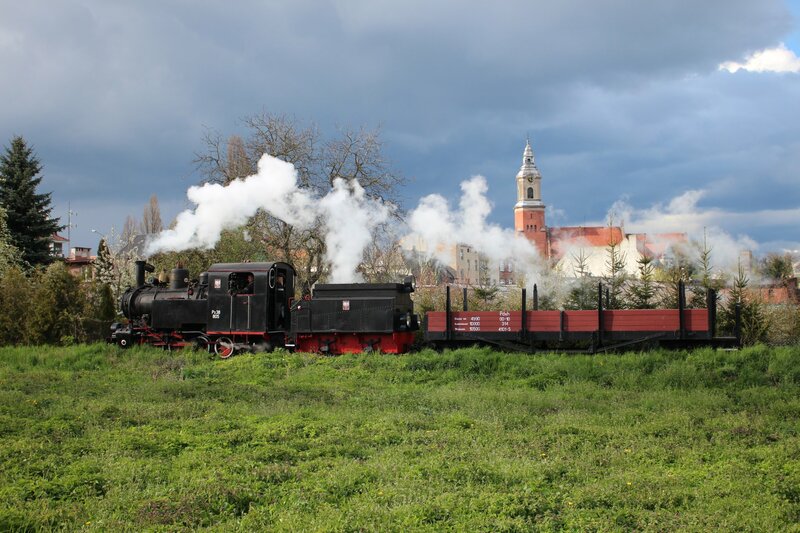 Our afternoon programme began with a tender-first express to Żnin at 2.45pm, just after an intense hail shower. On top of this, ominous black clouds dominated the horizon and left us all wondering what we might expect for the afternoon. 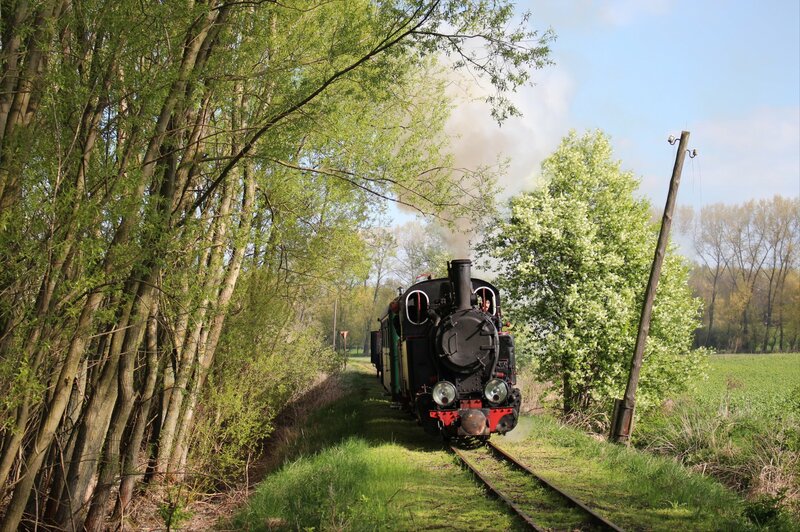 A surprise awaited us at Żnin – an opportunity to take our loco and one flat wagon on a jaunt down a 500 metre stretch of rare track on the ‘other curve’. This is the beginning of the old track to Obiecanowo and Zuzoly which closed in stages between 1972 and 1992. The promise of track not in the programme led one participant to joke that this was ‘one for the curve men’. As this section of line is normally closed we were not surprised to learn that the condition of the track is not up to the same standard as the rest of the system. 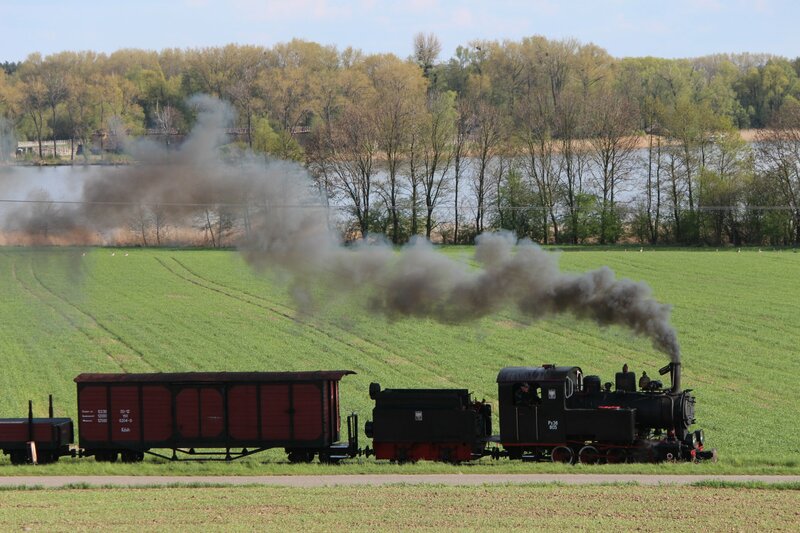 Our short train made slow progress down the line with one man walking in front of us and checking the track ahead, stopping only for the occasional photo opportunity. Bernd said that these should be considered ‘slow pasts’ as run pasts implied a far quicker pace than we could manage! 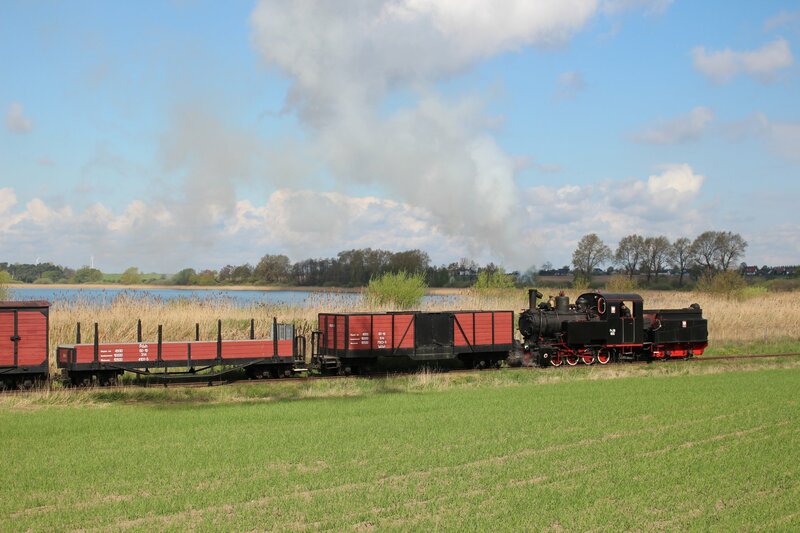 The short ride took us to a point just beyond the bridge over the Gąsawka where the line skirts a lake (Jezioro Żnińskie Małe). Along the way we had some photo stops timed perfectly for re-appearance of the sun, including a marvellous spot with St Florian’s church as a backdrop (this required some impromptu gardening, cutting back branches and flattening the tall grasses in the foreground). Despite being only a short stretch of track this offered up some pretty impressive photographic rewards! 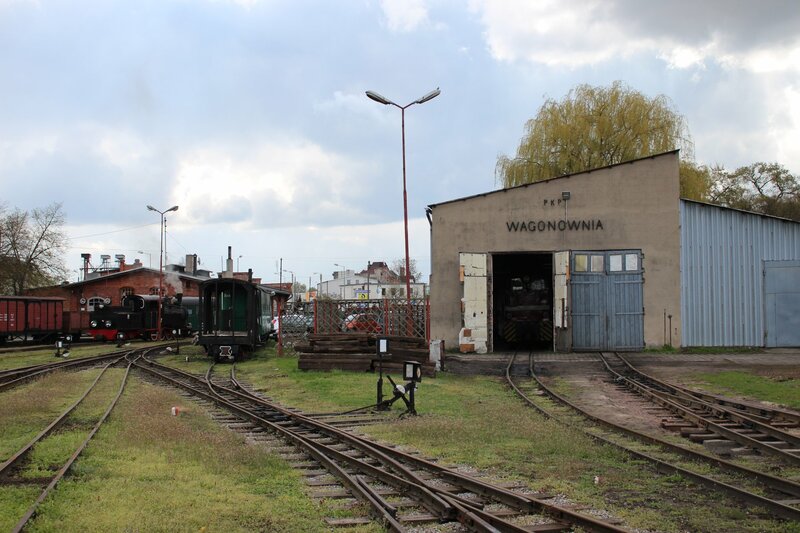 A three hour pause in our programme provided ample opportunity to explore the sights in Wenecja. 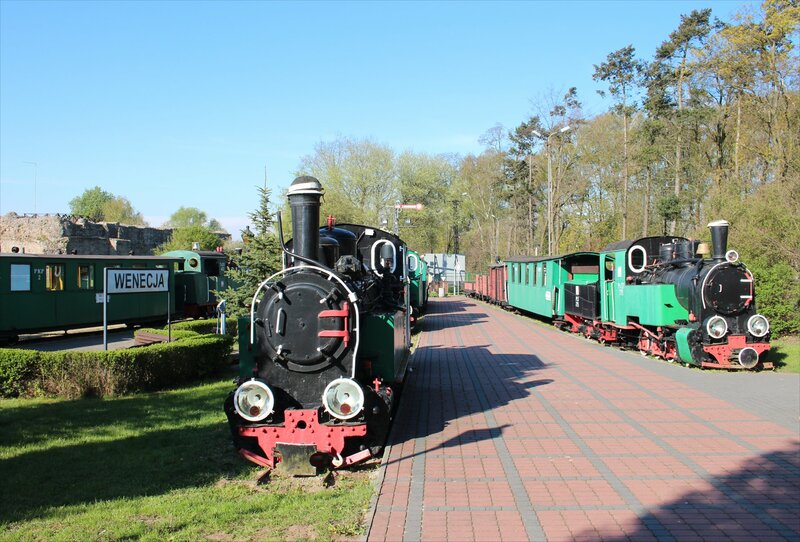 It is only a small village with just 300 inhabitants but it has a particularly delightful setting amongst the Biskupińskie, Weneckie and Skrzynka lakes. 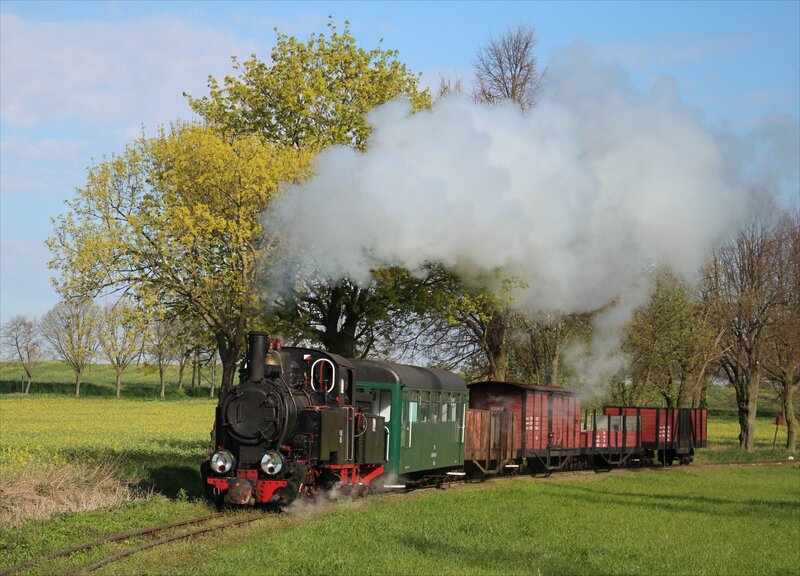 It is also home to two noteworthy sights – a narrow gauge railway museum and a medieval castle. 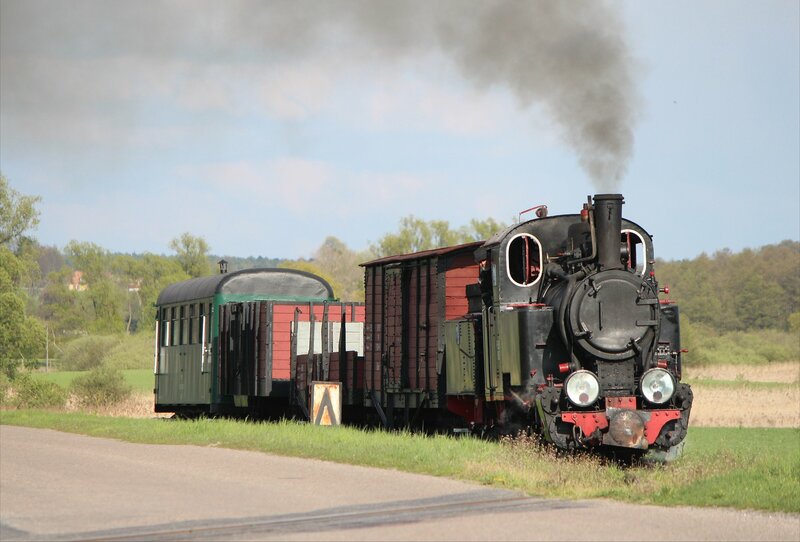 A further attraction, an archaeological open-air museum, is to be found just down the tracks at Biskupin. 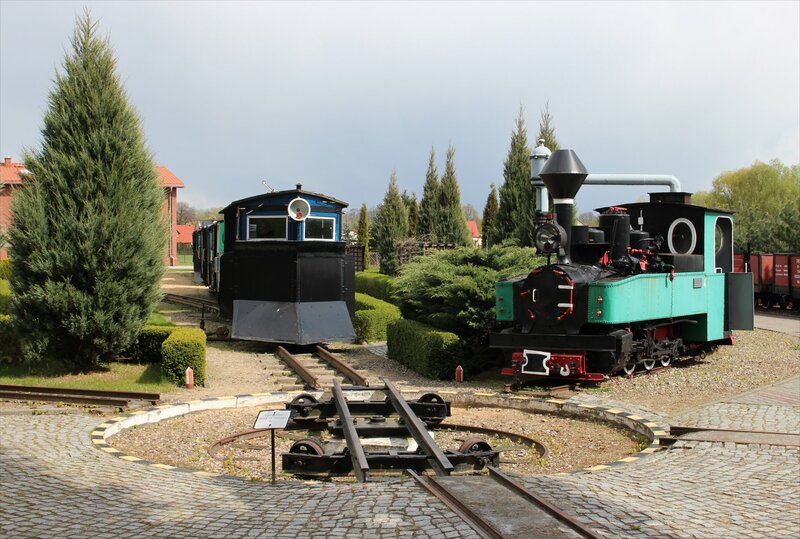 The collection at Wenecja lays claim to the title of Europe’s largest 600mm gauge railway museum, though I imagine that this is a relatively specialist league of museums! 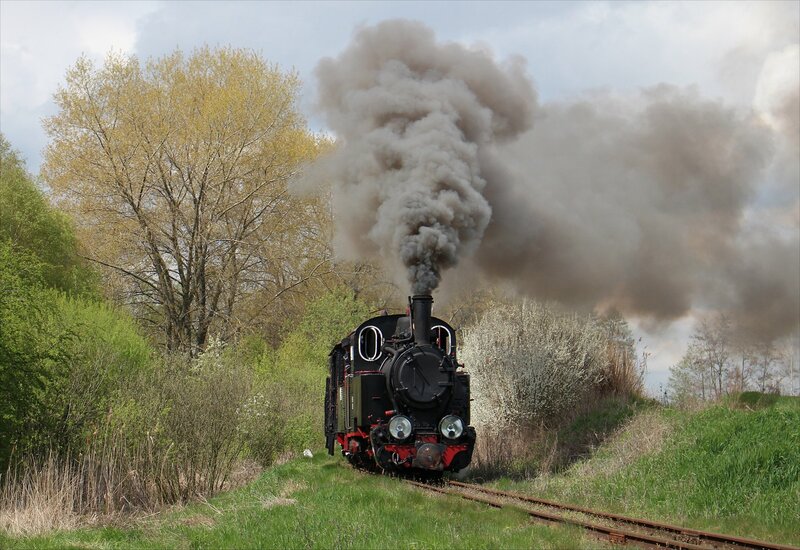 I was pleasantly surprised to see that this did not follow the usual Eastern bloc arrangement of lines of locos one after another. 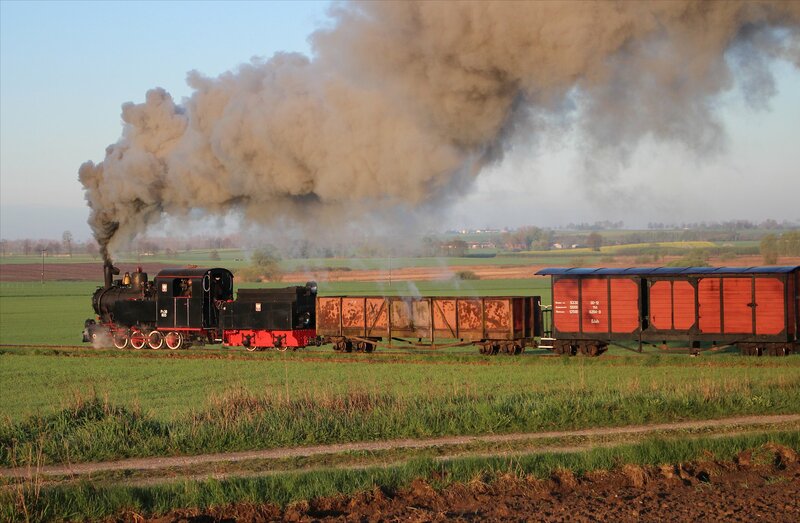 However, the display of the locos in the open air can’t be doing them much good in the preservation stakes. 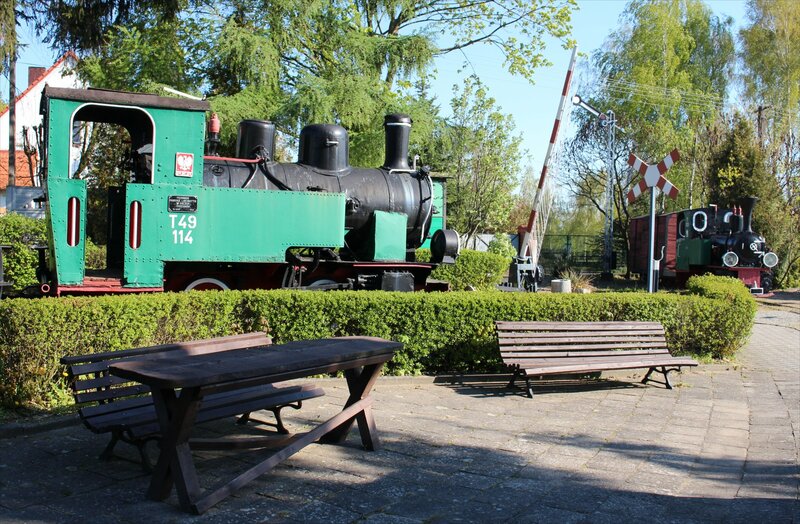 A degree of careful thought has clearly gone in to the layout of this place with the locos arranged with consists that give a much better sense of how these locos spent their working lives. 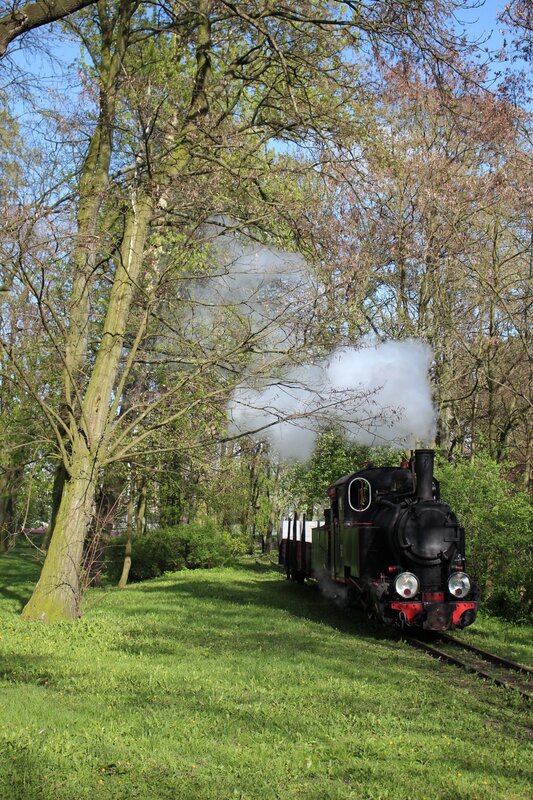 For example, the Tx-1116 locomotive made by Henschel & Son (Kassel, 1918) is displayed at the head of a logging train (with real logs on the wagons). 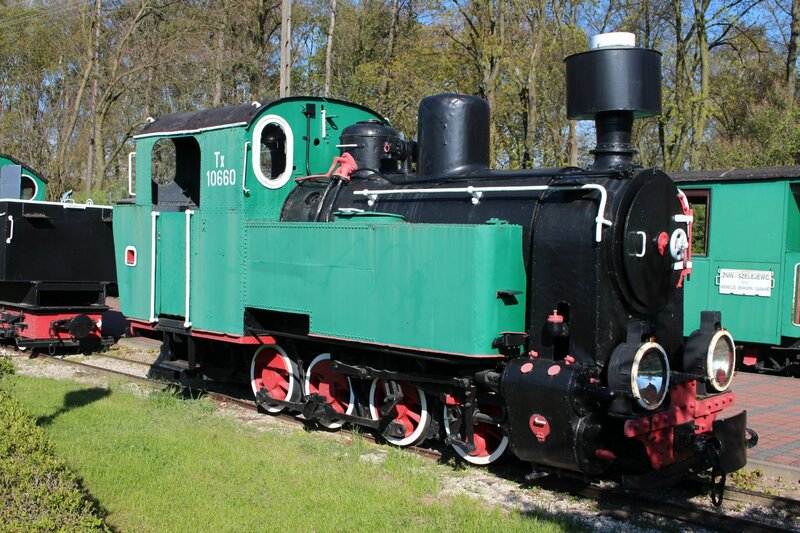 One particularly striking exhibit is the Belgian locomotive No. 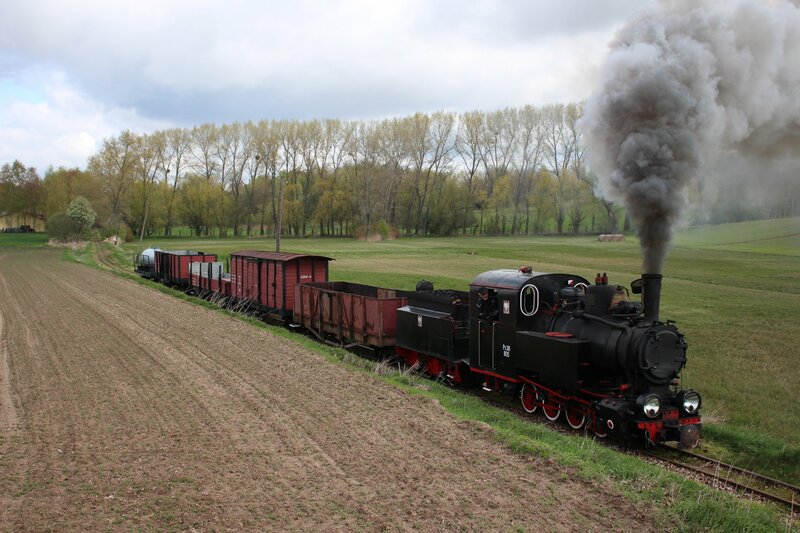 2179 ‘Charles’ made by Les Ateliers Metallurgiques Nivelles with a 4-6-2 wheel arrangement. 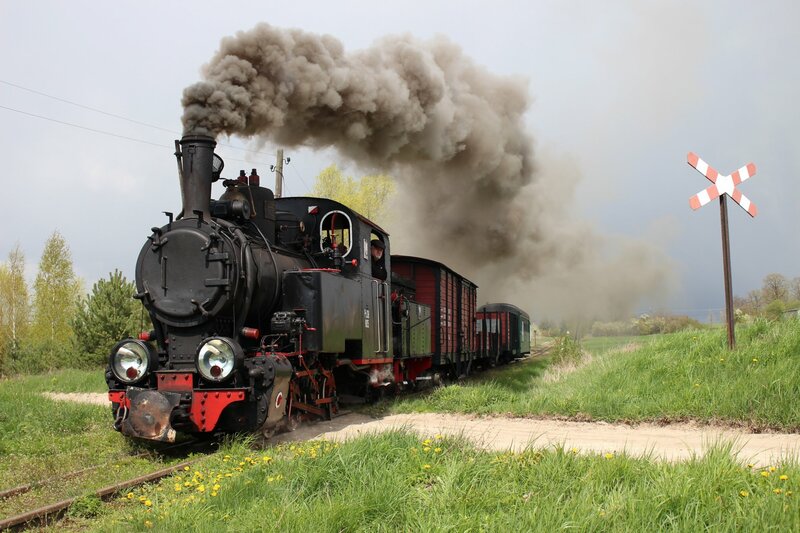 It was one of six miniature pacifics built for the Brussels World Expo of 1935 but made its way east after being seized by German forces during the Second World War. 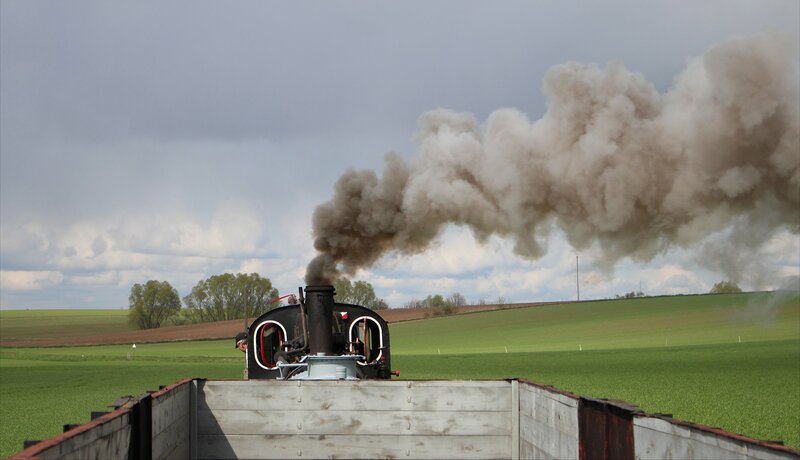 I must admit that looking at ‘Charles’ today you would think that this was a locomotive that has spent a lifetime in exhibitions and in amusement parks, but the reality is far removed from this. 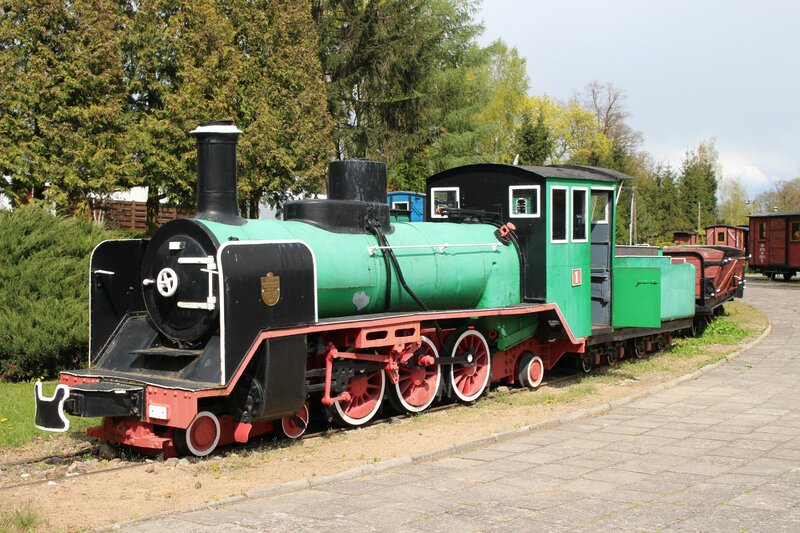 The locomotive was used on military systems by the German forces and then in the reconstruction of Szczecin by the post-war Polish regime, before twenty five years of hard labour on the railway systems at the sugar factories at Ostrowy and Chełmica. 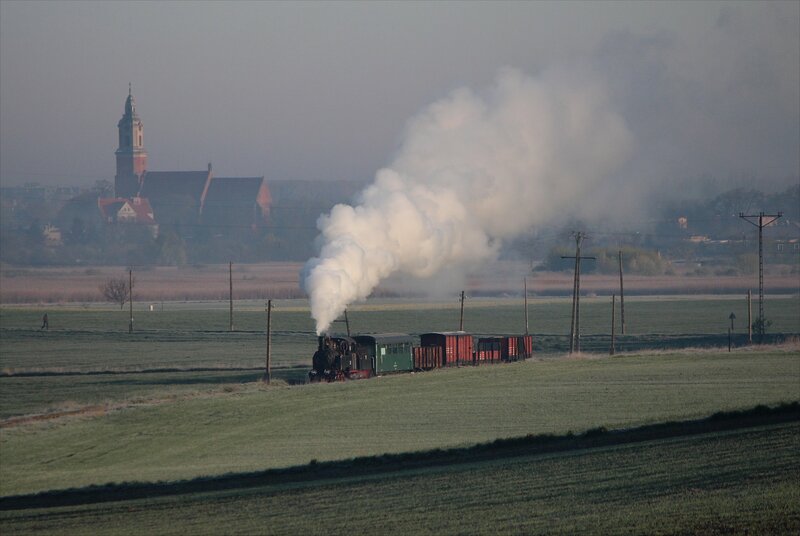 A particularly sorry photo of ‘Charles’ at the end of her operational life can be seen on the Wciąż pod parą website. 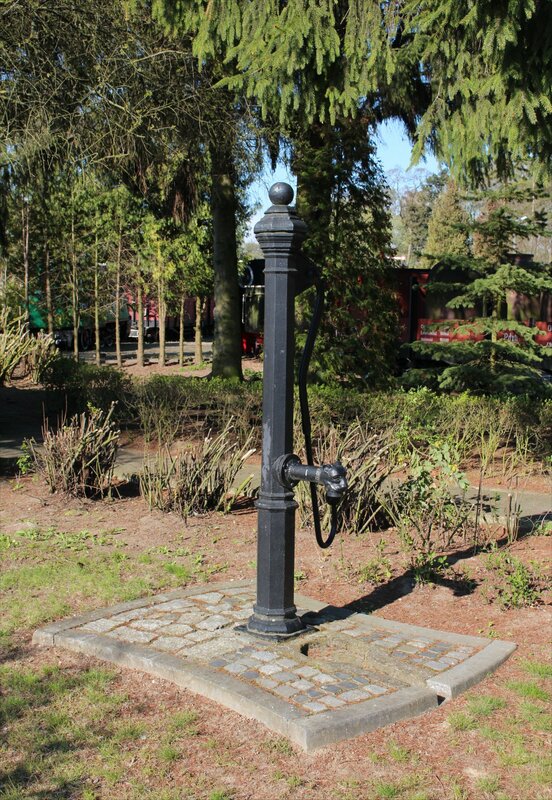 Besides the larger exhibits there are many smaller items that are easily overlooked, such as a hand-cranked water pump with a beautiful Lion’s head spout. 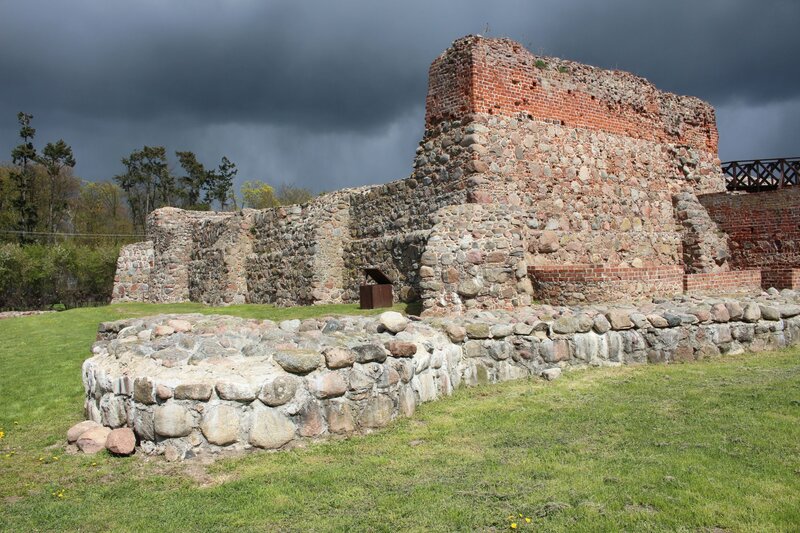 I took a few moments to visit the 14th century castle that overlooks the railway station at Wenecja. 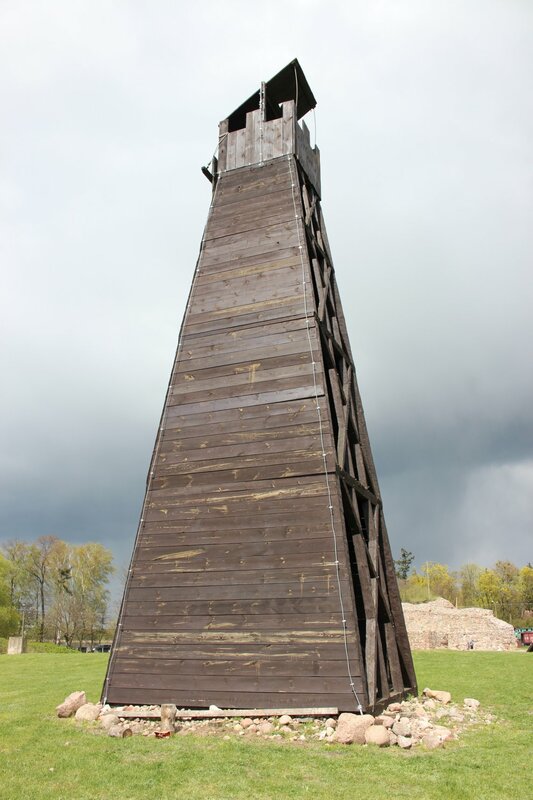 In truth, there is not much to the castle itself but there are a variety of siege devices and a siege tower that could make for interesting viewing if you have a few moments to spare. 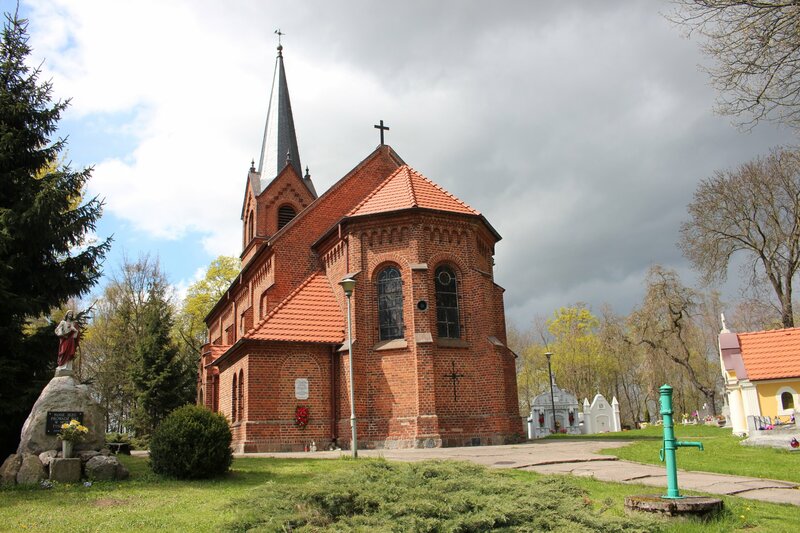 After leaving the castle, I took a wander up to the late-19th century Church of the Nativity of the Blessed Virgin Mary (Kościół Narodzenia Najświętszej Maryi Panny w Wenecji) which looked rather resplendent in a short lived burst of sunlight. At night the place looked quite remarkable with a sea of lanterns illuminated across the graveyard. 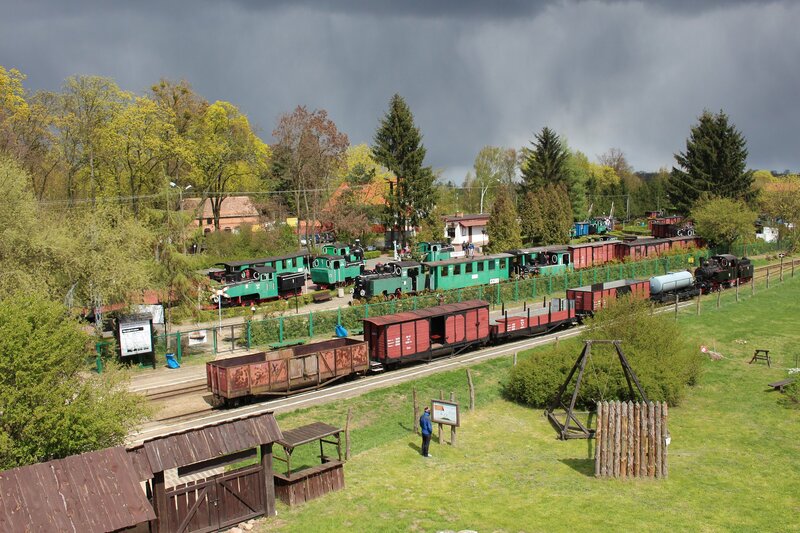 Our lunch stop also gave us time enough to admire the photographs of Poland’s narrow gauge railways on display in the dining room and museum shop, including a spectacular viaduct over the Brda river at Koronowo. 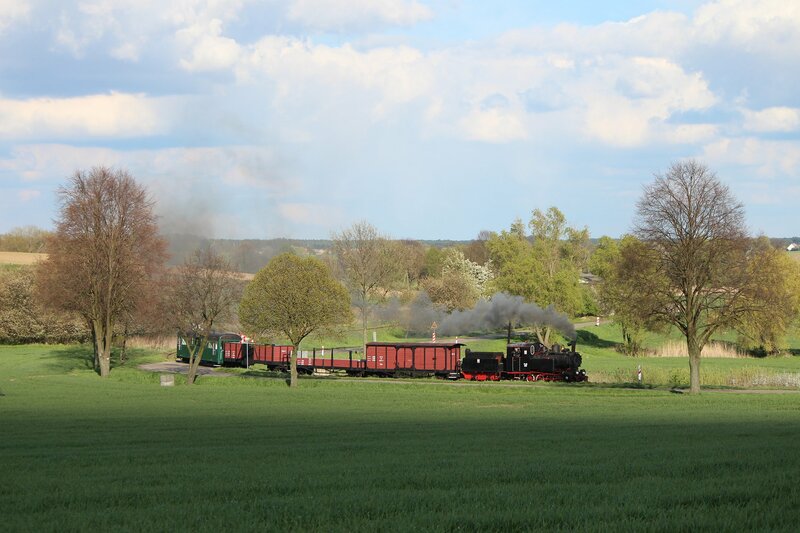 If only that were still part of an active narrow gauge railway today! 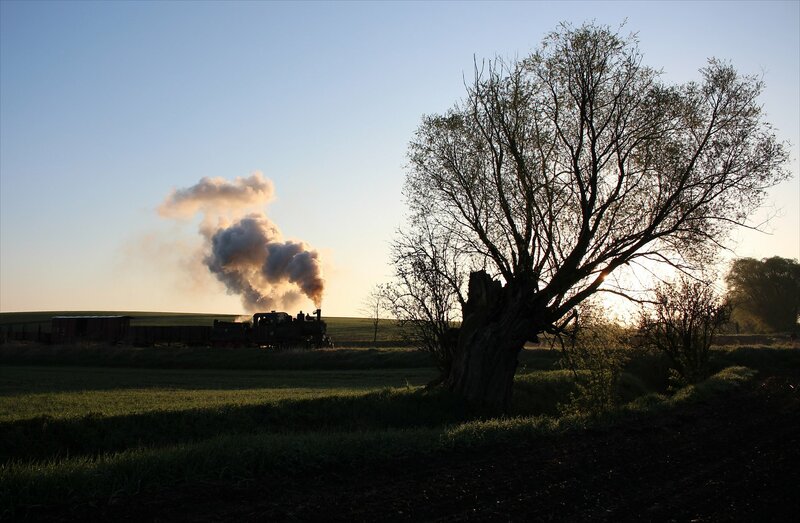 An early start saw us in position in the fields in good time for a rather beautiful sunrise at 5.30am, followed by a productive three hour spell photographing our train between Żnin and Wenecja. A good proportion of shots from the morning worked marvellously, but there were still miserable failures amongst these. 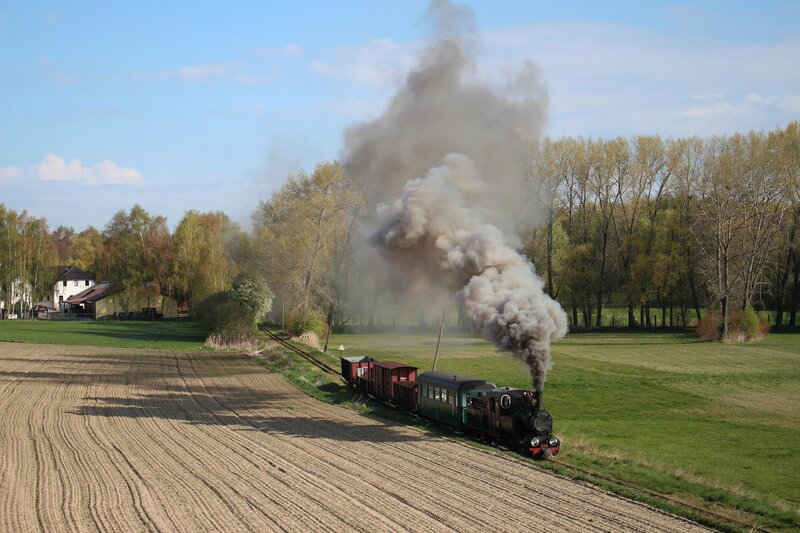 In particular, a series of attempts to get a shot with a watery stream in the foreground presented failure after failure – the shots invariably looked great until the smoke from the locomotive cast a shadow over the train! Nevertheless, it was always fun trying. We were well aware that the forecast suggested that the fine early morning would be followed by cloudy conditions and sure enough the clouds rolled in around 8.30am. I couldn’t be too disappointed as we had plenty in the bag by this point. 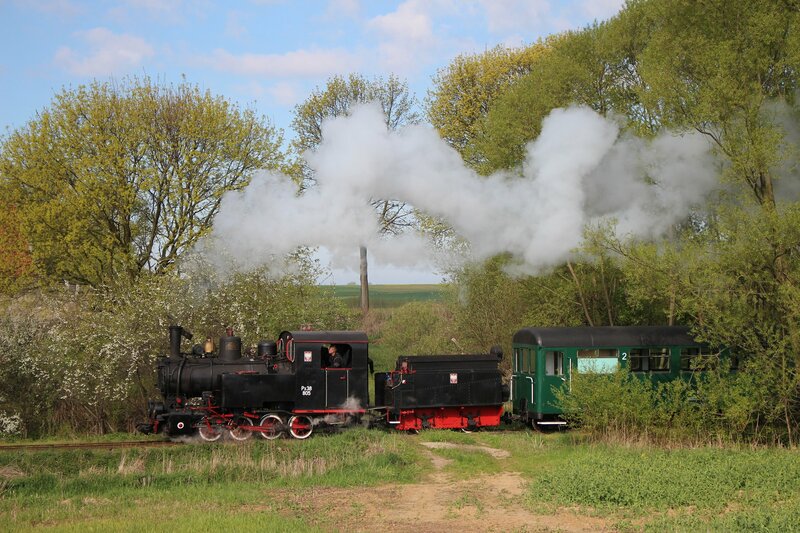 The rest of our morning was spent on the lineside between Wenecja and Gąsawa with just a twenty minute pause to allow the diesel hauled service train to leapfrog us. 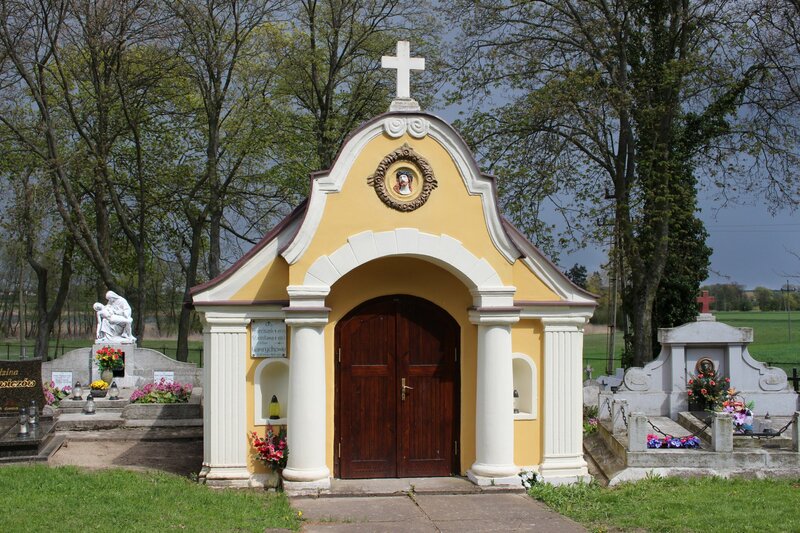 The portfolio of shots took in a surprising variety of settings, including the lakes around Wenecja and Biskupin, the vibrant yellows of spring trees and the beautifully tended cemetery at Gąsawa. 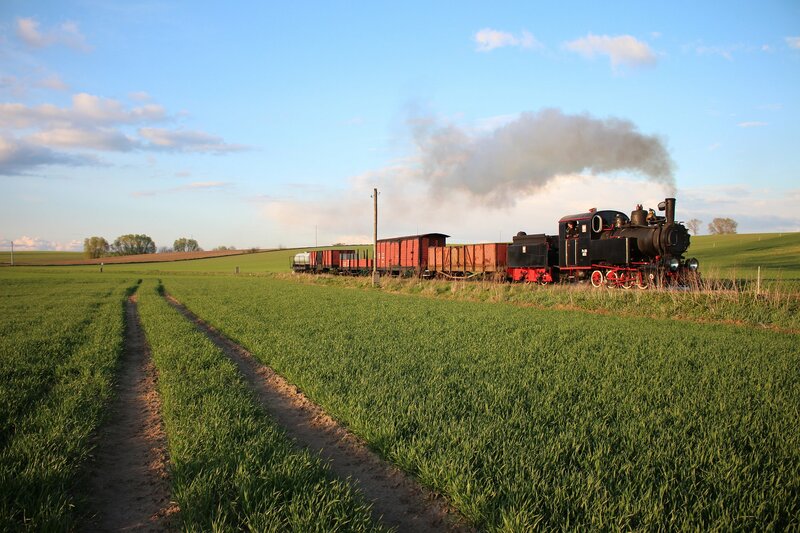 The line between Żnin and Gąsawa may only be 12km but it presents a wonderful slice of rural Poland, as I hope the images in this post demonstrate. 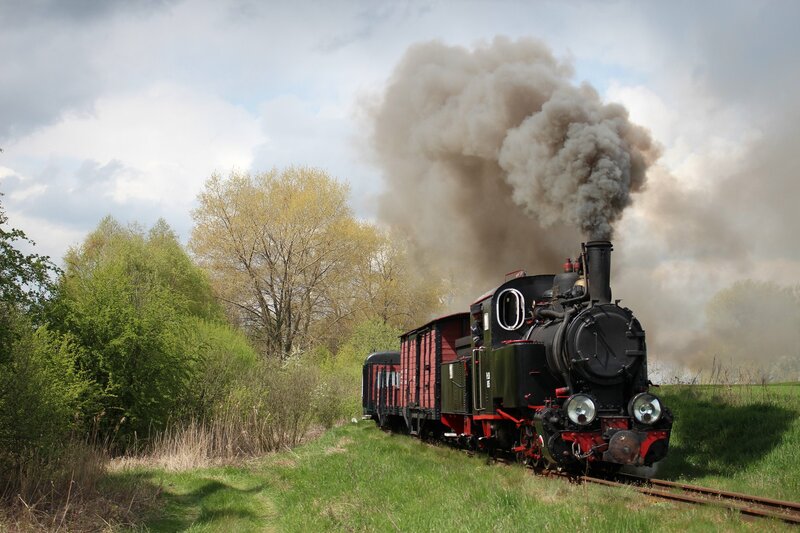 The motive power for our photo charter is a remarkable narrow gauge survivor, Px38 805, which holds the distinction of being the last operational 600mm gauge steam locomotive on the Polish State Railways network. 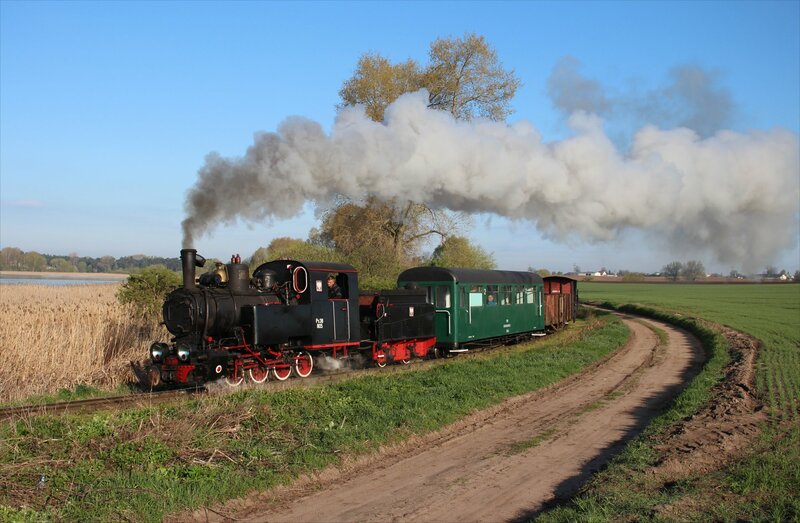 Today, she is owned by the Żnin District Narrow Gauge Railway and runs on the surviving stretch of line between Żnin and Gąsawa. 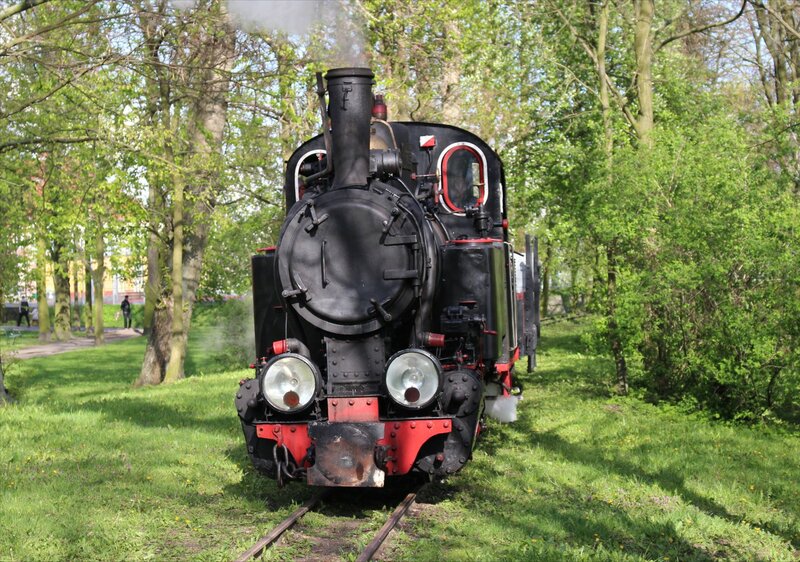 The 0-8-0T locomotive was constructed in 1938 at Fablok, officially known as Pierwsza Fabryka Lokomotyw w Polsce Sp. Akc. 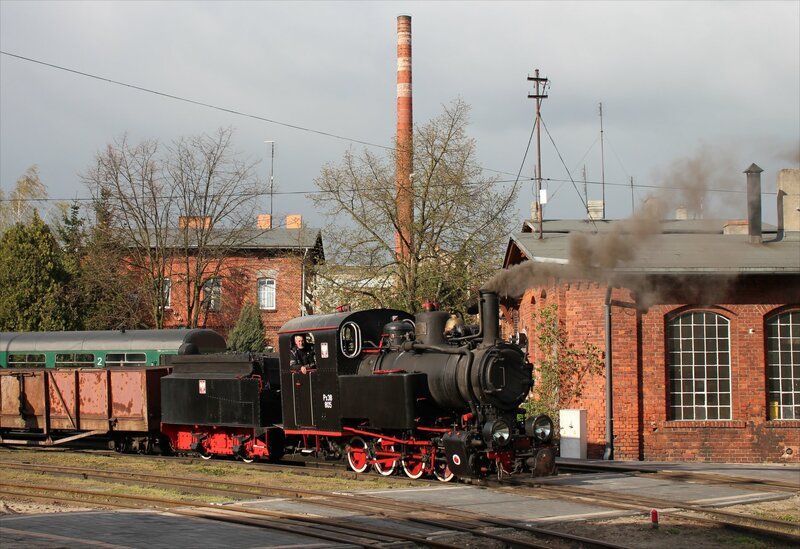 (The First Factory of Locomotives in Poland Ltd.), in Chrzanów and was given a works number of 727. 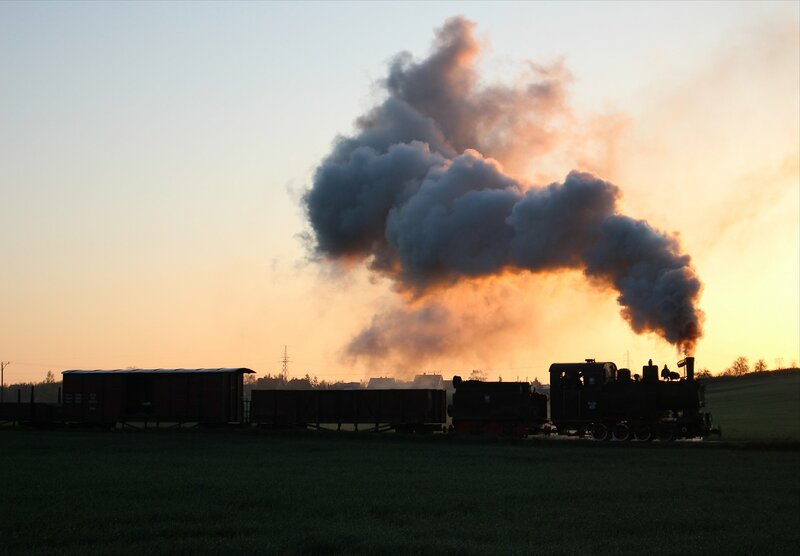 It is the only locomotive of this design to be completed. 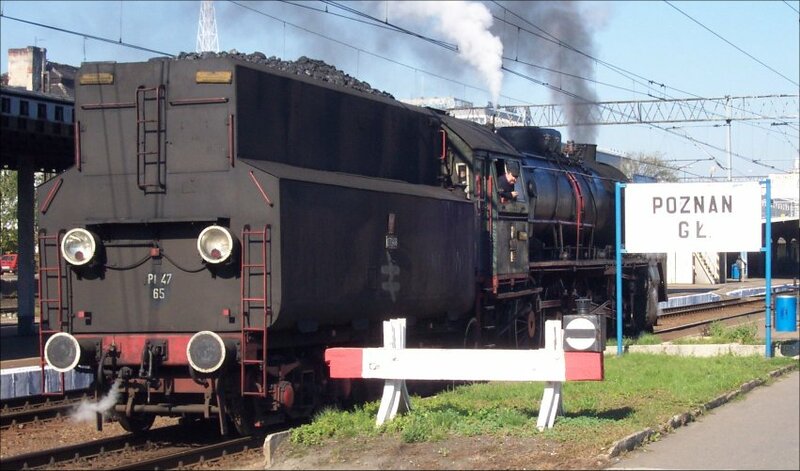 The basic design was an adaption of the factory design for the W5A, later re-designated as the Px27 series. 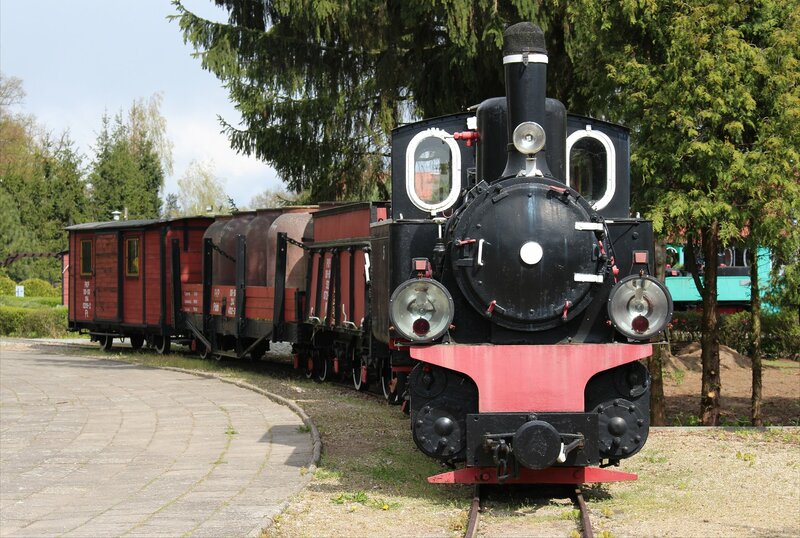 Only two Px27 locomotives were commissioned and the sole survivor (Px27-775) is on display in the museum at Wenecja. 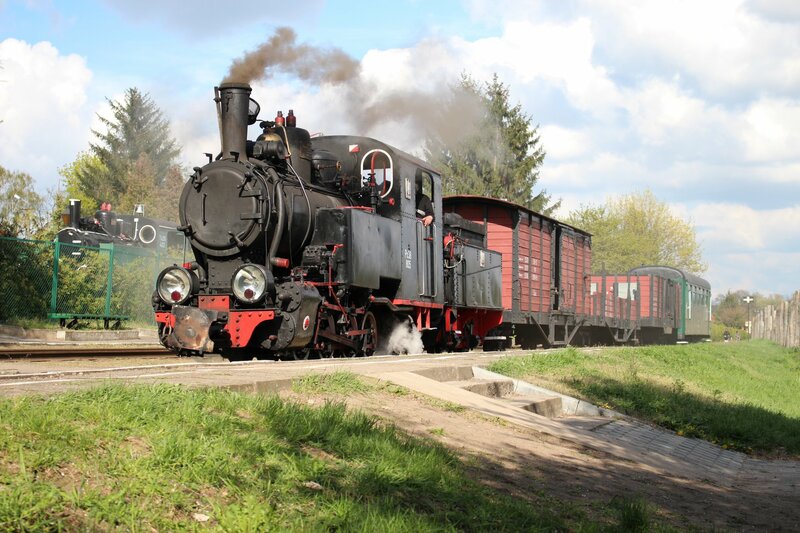 The second locomotive (Px27-774) was cancelled and its tender allocated to Px38 805. 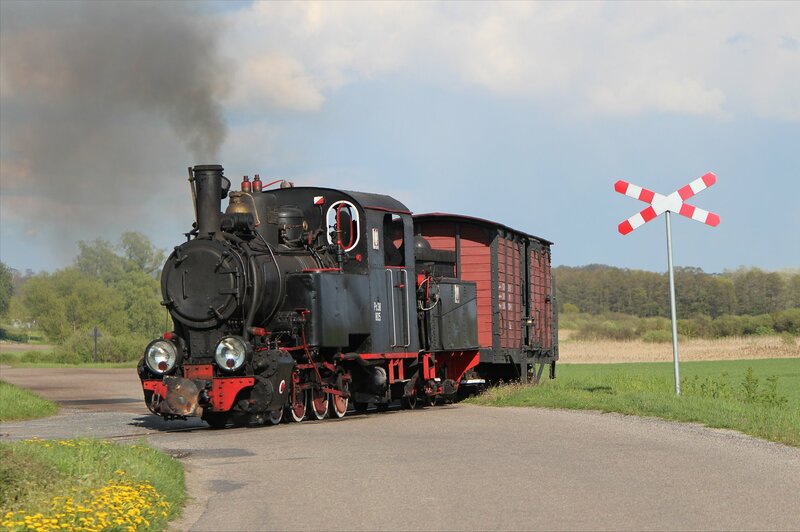 Px 38 805 was originally commissioned for the Wrzesinska Kolej Powiatowa (Wrzesnia District Railway) as their no. 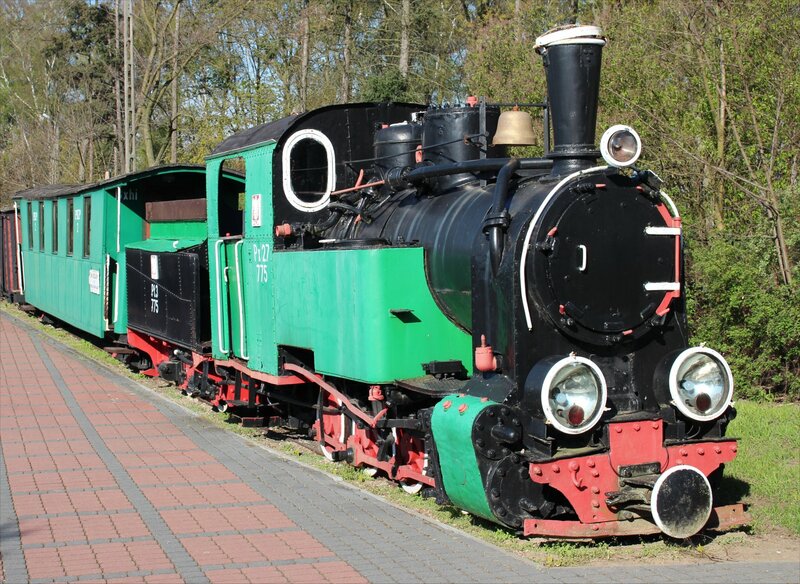 5 locomotive but was renumbered no 4. in 1939 (as documented by Ed Beale in his article on Wrzesnia District Railway, 1939) and became Px2-805 when she was incorporated into the PKP stock list in 1949. She was redesignated Px4-805 in 1961, amended to Px38-805 later in the year. 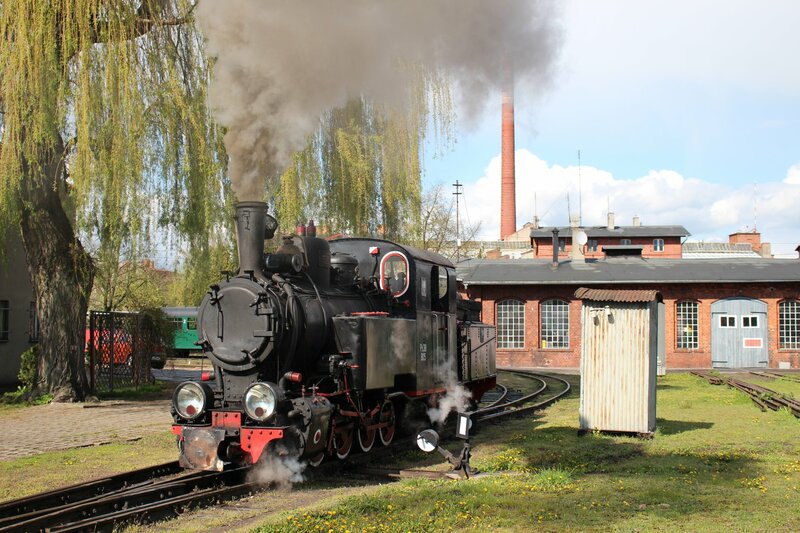 After spending her early years at Września the locomotive has seen service at Gniezno (1952), Września (1953), Bialosliwie (1957), Myszyniec (1958-1972) and Bialosliwie (1972-1983) before arriving in Żnin (1983). 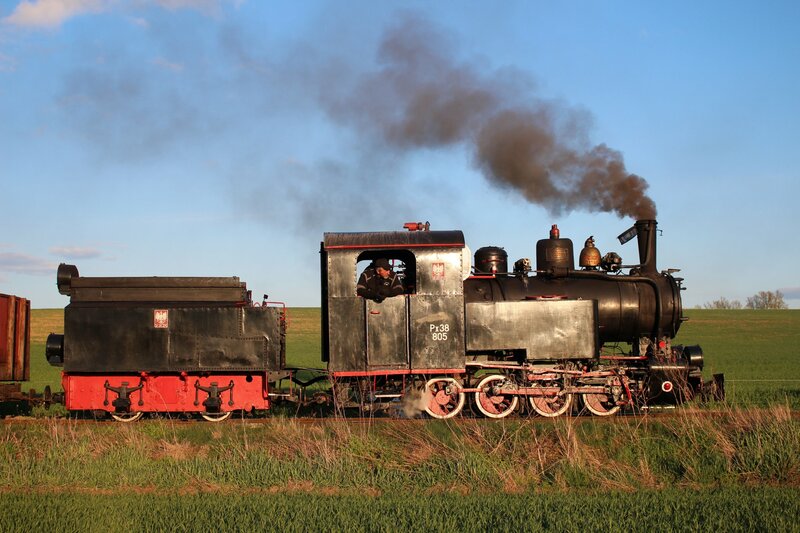 There are some fascinating photos of her working career from the 1970s to the present on Tomislav Czarnecki’s impressive website catalogue of Polish steam locomotives. 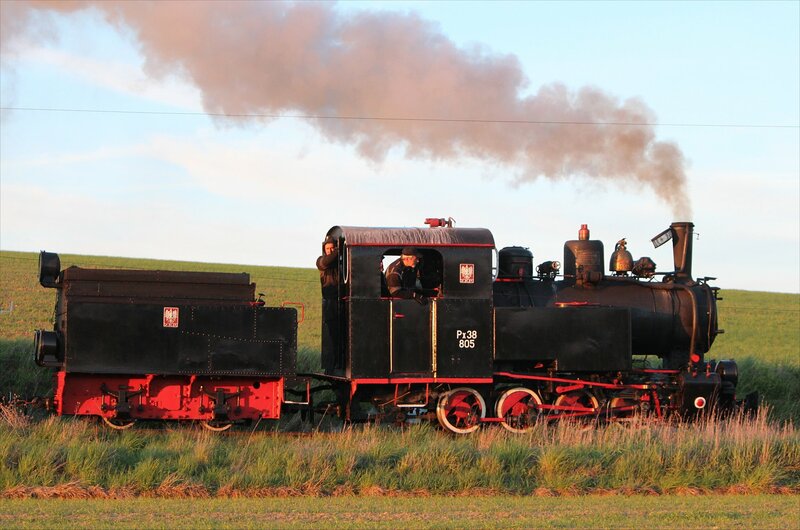 The locomotive was withdrawn for major boiler repairs in 2008. 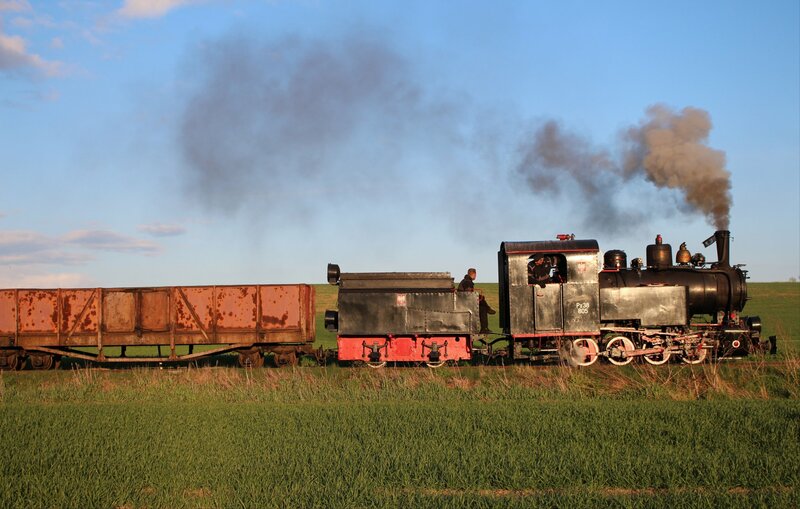 Since her return in 2011 she has been painted black, reflecting her appearance in her last years of regular use. It’s not clear how often she gets the opportunity to run on the line – possibly not that often given the eagerness of the locals to grab shots of her on their mobile phones. 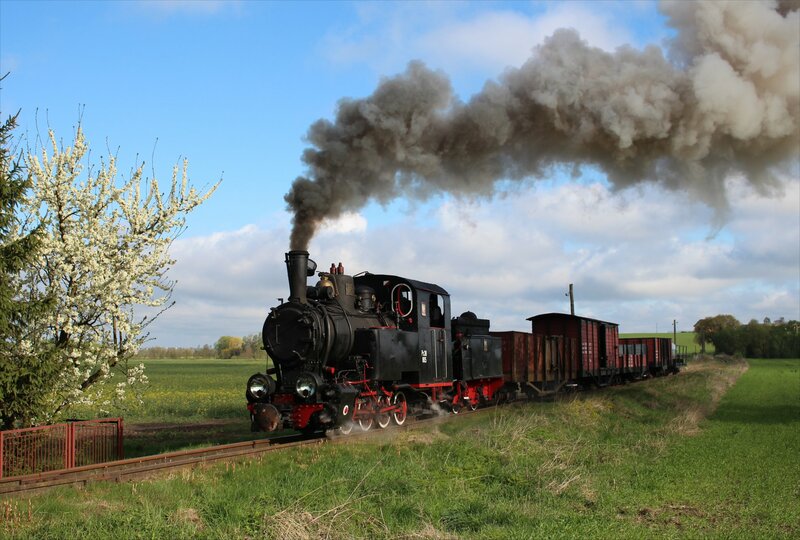 However, she is scheduled to appear at a narrow gauge festival in Żnin on May 26th-29th 2016. 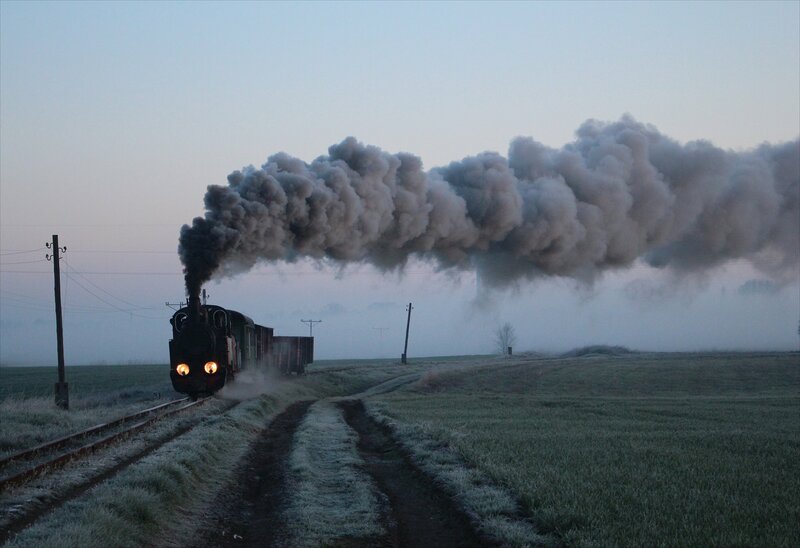 Px 38 805 remains in ticket until the end of 2016. 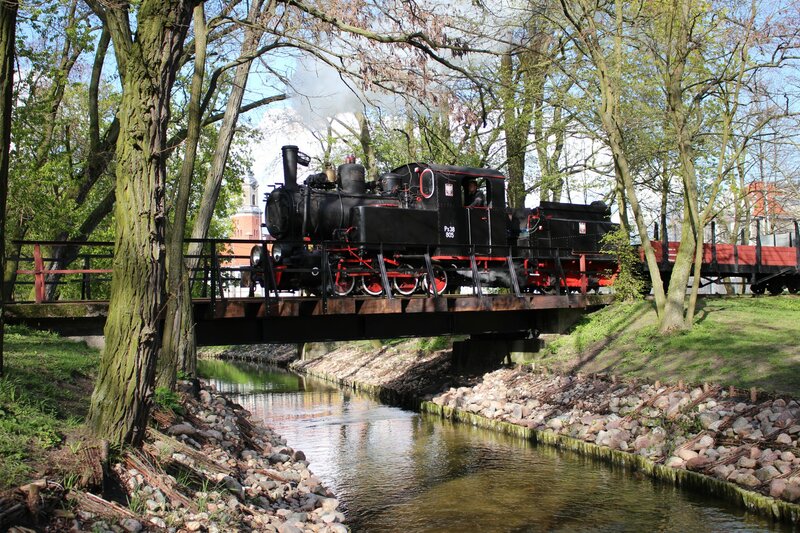 Our photo charter is taking place on one of the last operational 600mm narrow gauge lines in Poland, the Żnińska Kolej Powiatowa. 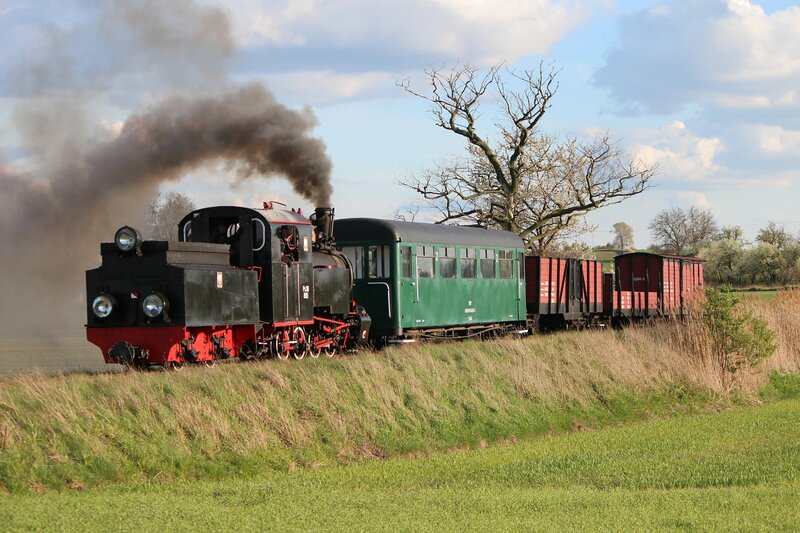 The line today covers some 12 km running from Żnin to Gąsawa. 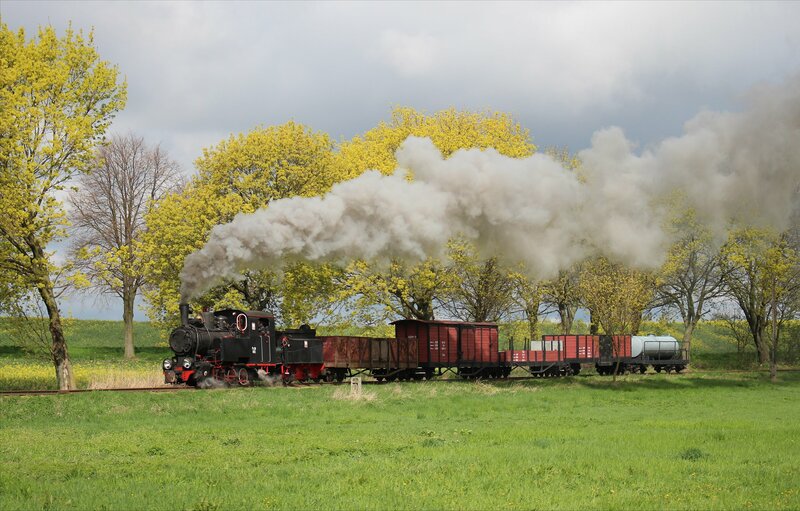 The impetus for the narrow gauge railway came from the large landowners in the area who could see the benefit of similar systems (such as the 600mm line established at Mecklenburg in 1888) for the transportation of agricultural produce to the factories. 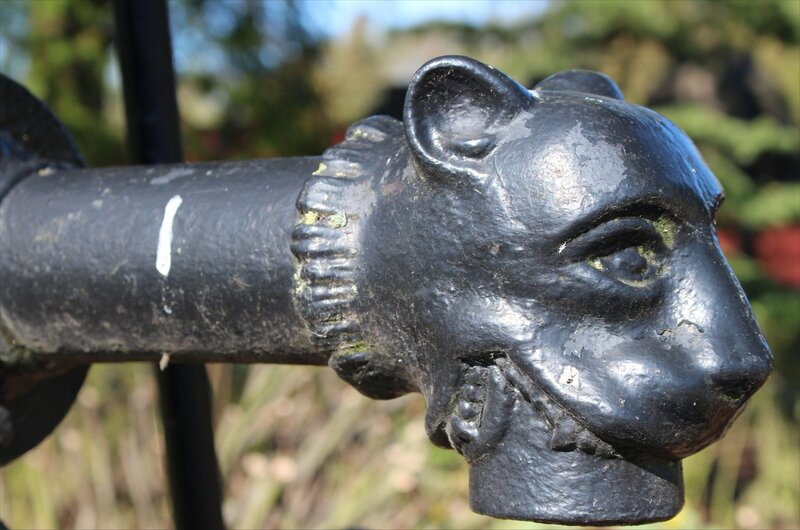 A report was drawn up and submitted to a vote at the district council meeting on 21st March 1893, gaining approval by a margin of 14 votes (27 votes for and 13 against). 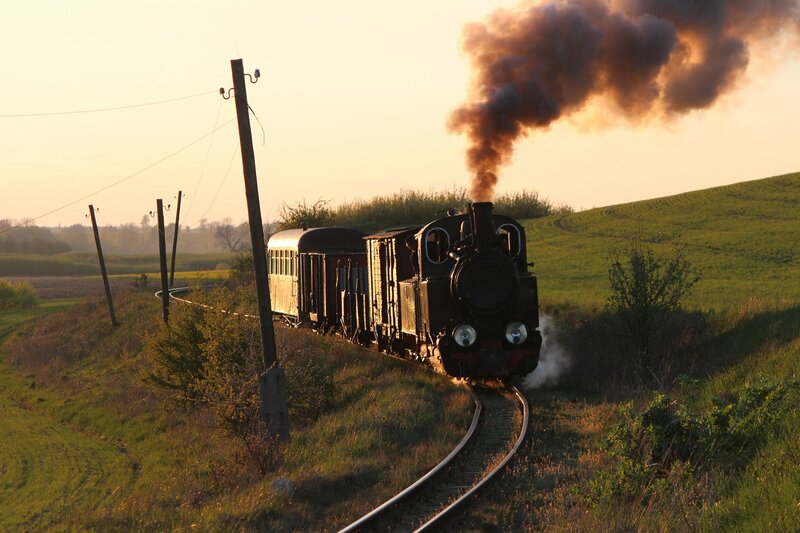 The line was built with impressive speed and the first sections opened on 1st July 1894, running from Żnin to Rogowa (19.4km) with a branch from Biskupin to Szelejewo via Gąsawa (8.2km). 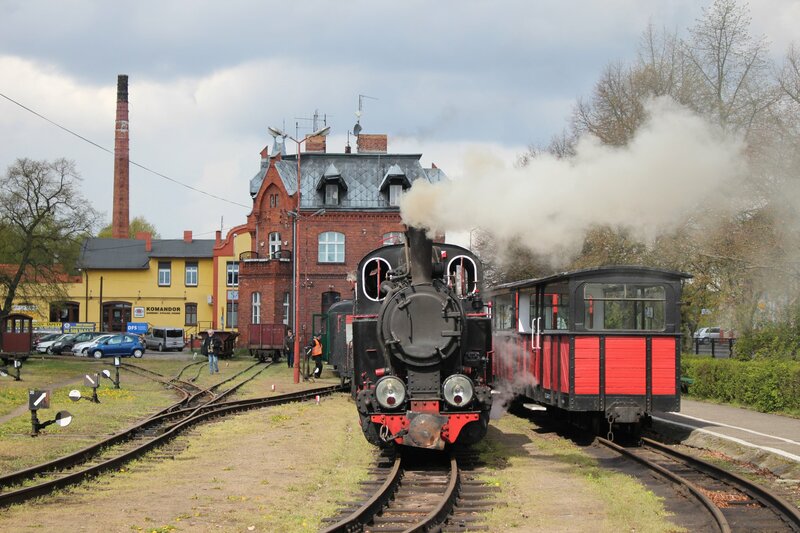 Over the next thirty four years extensions brought the system up to its peak extent of 78km, adding connections to Ośno (1895), Ostrowce (1908), Obiecanowo (1911), Wola (1912), Grochowiska Szlacheckie (1912) and Żużoły (1928). 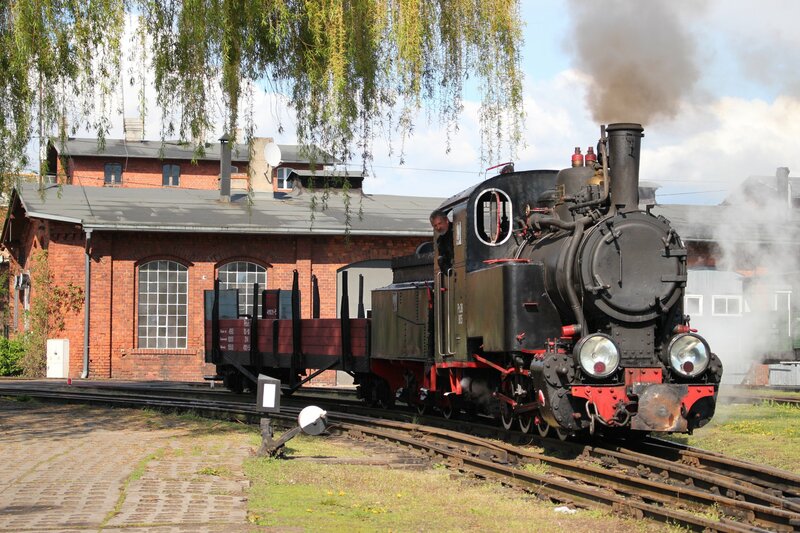 In an equally short time the necessary infrastructure was developed, including workshops, stations and a foundry. 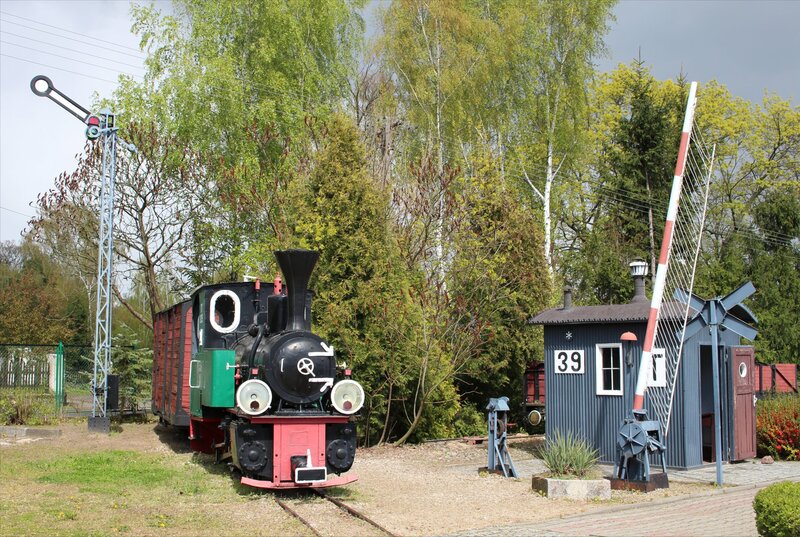 A round house for the growing fleet of locomotives was erected in 1912. 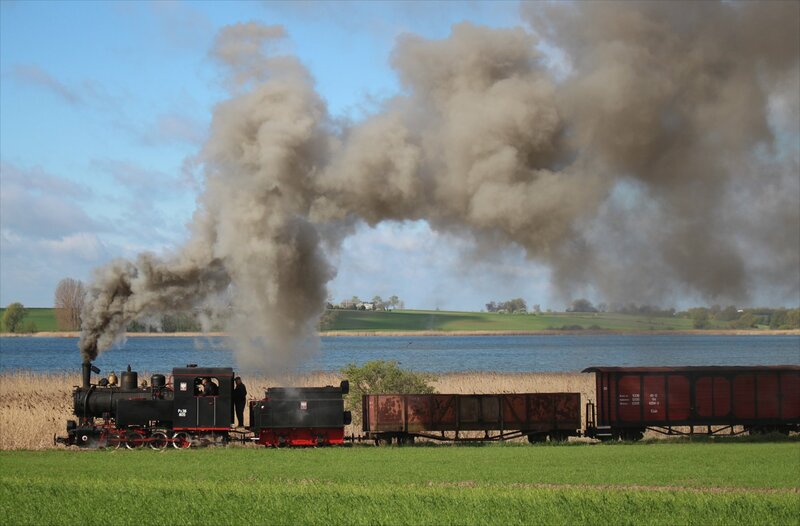 In the first half of the twentieth century the railway had twelve locomotives in use and a considerable quantity of wagons and carriages. 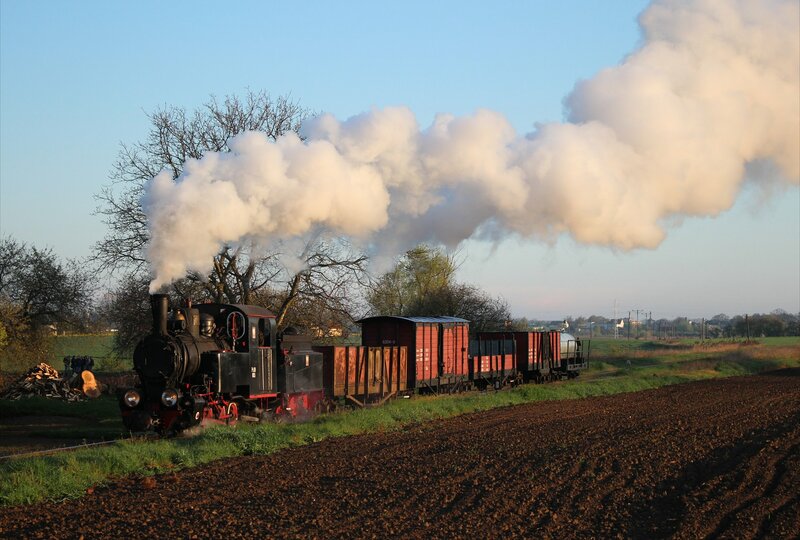 At first the focus of the railway was the transportation of sugar beet to the sugar factory in Żnin, but the line saw an increasing number of passengers too. 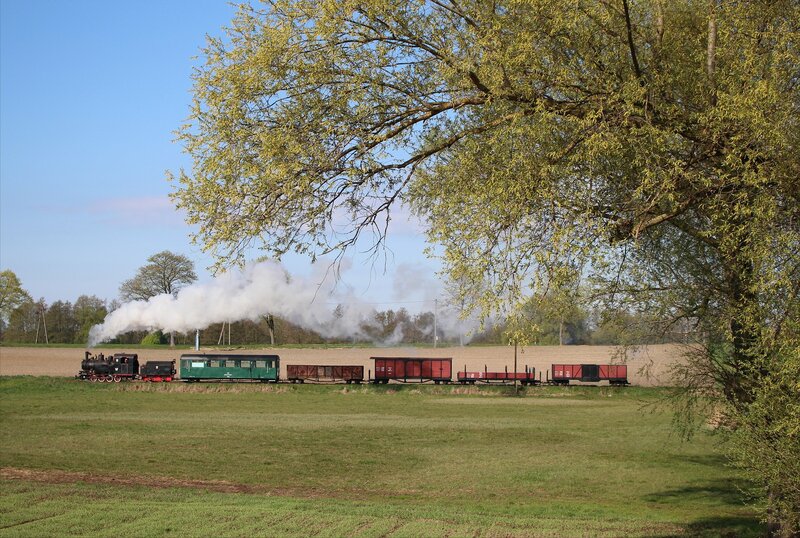 In 1911 the railway employed 68 staff and carried 82,105 passengers and 561,119 tons of cargo across the network. 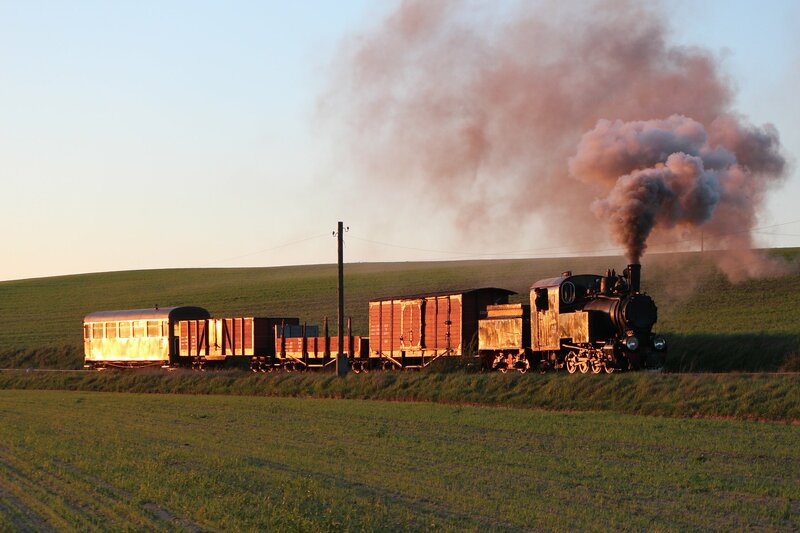 However, the global depression saw these numbers dramatically reduced to 45,000 tons of freight and 24,000 passengers by 1935. 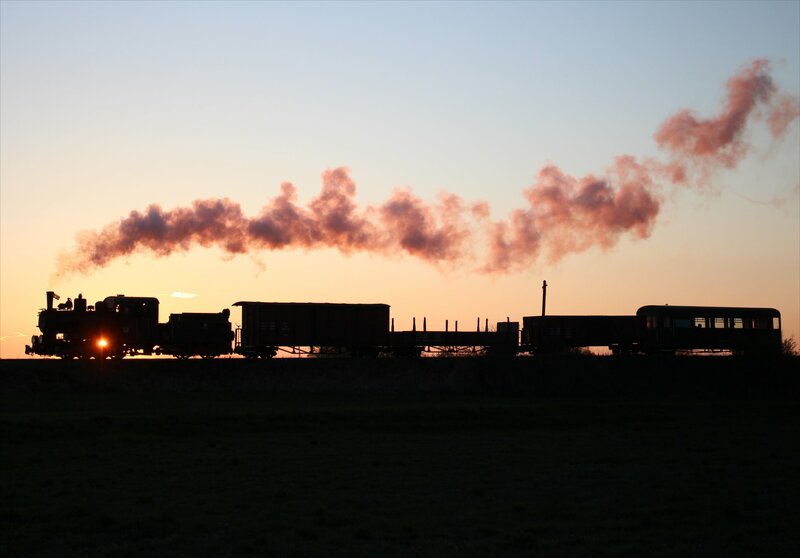 A post-war boom saw a healthy recovery in traffic levels with an annual average of 800,000 tons of freight and around 40,000 passengers between 1945 and 1950. 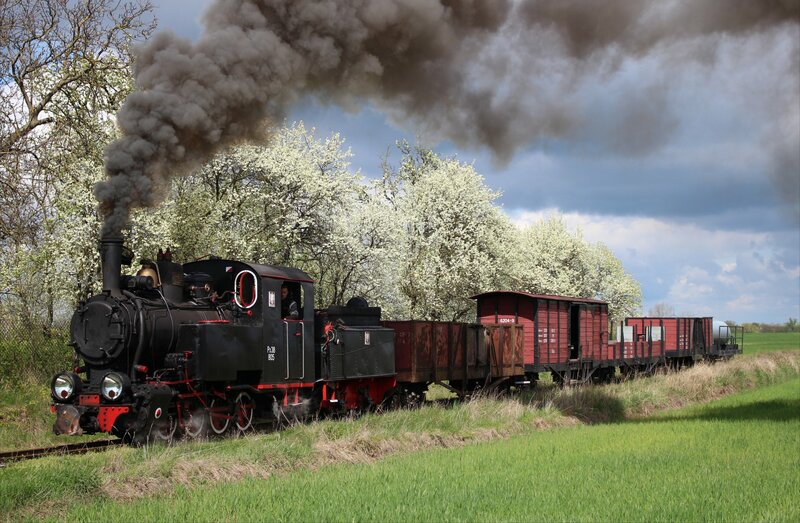 In 1949 the narrow gauge railway was absorbed into the Polish State Railway network (PKP) but the future was not as rosy as the figures might have suggested. The expanding road network and switch to buses saw passenger levels drop on the railway, leading to a decision to suspend passenger services in 1962. 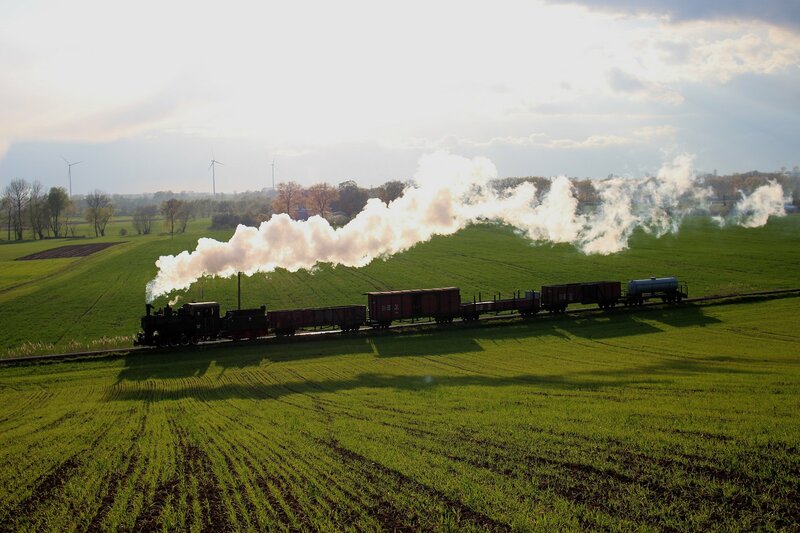 Freight levels also reduced as farms acquired their own lorries and as industrial sites on the network wound down (one of the coal mines was exhausted around this time). 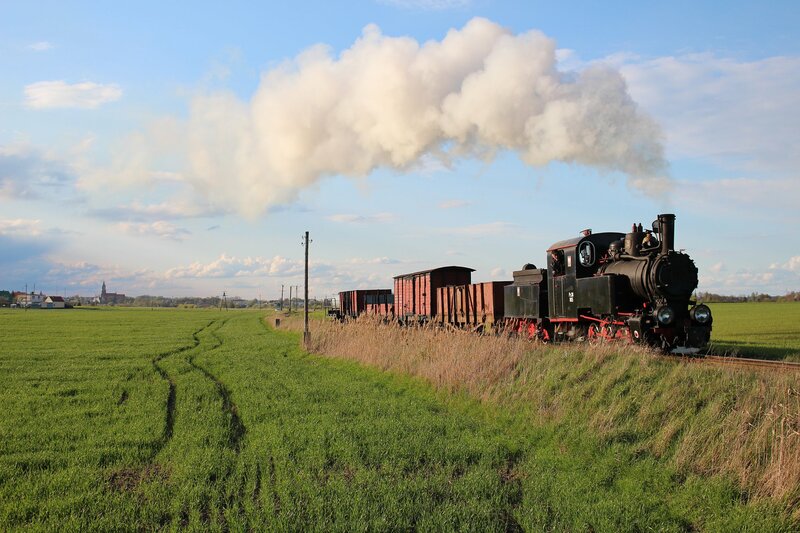 The railways fell into a spiral of decline, exacerbated by a reduction in the maintenance of the locomotives and the infrastructure. Most of the network was closed in stages between 1972 and 1995. However, the story for the line between Żnin and Gąsawa was rather different. 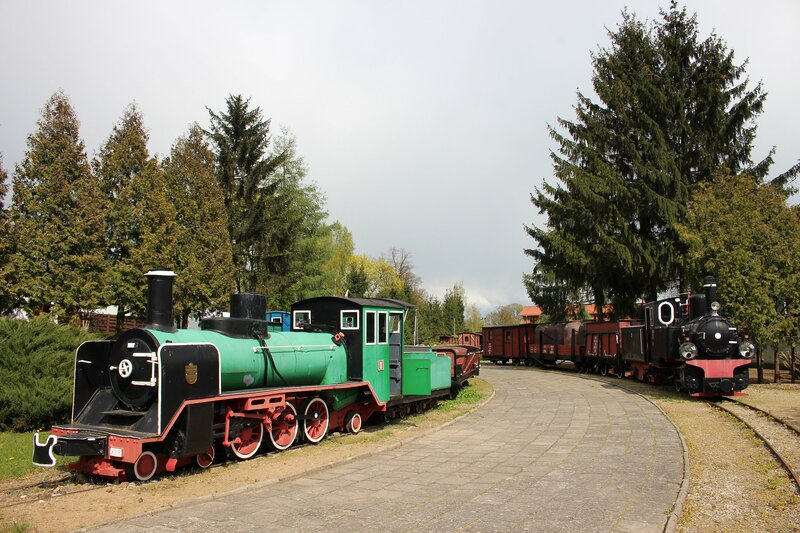 A narrow gauge railway museum was established at Wenecja in 1972 and four years later PKP introduced tourist services on this stretch of line. 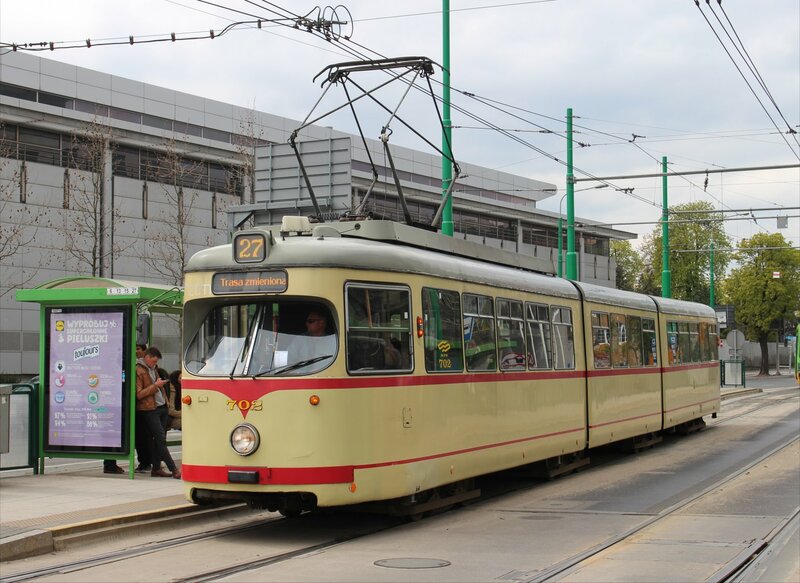 Ownership of the line passed to the local district in 2002 and looks to be positively healthy today. The Sugar Factory in Żnin was sold in 2015 and the real estate developer Grupa Arche plans to renovate the building sympathetically and convert it into a 450 room hotel and leisure complex at a cost of 100 million złoty. The impressive plans include a proposal for a Museum of the Old Sugar Factory as well as a cinema, swimming pool/tropical island, viewing platform and lakeside sports facilities. 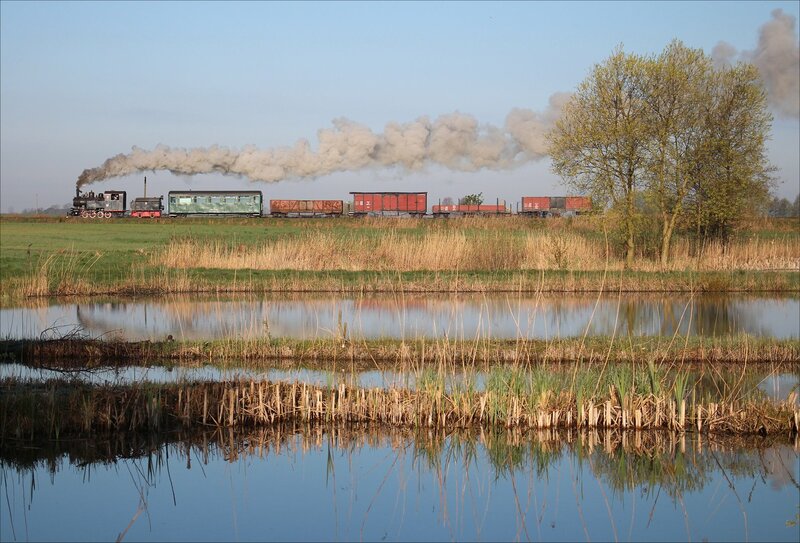 Steve Thompson’s Industrial Narrow Gauge Railway website includes some fascinating images of the railway in the sugar factory in the mid 1990s. 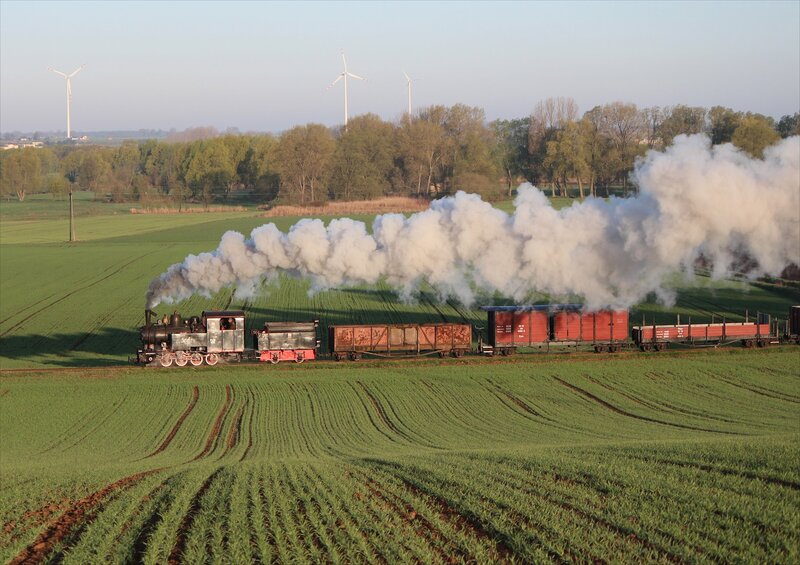 More photographs of the line can be seen on the Lyd2 and International steam websites along with additional information on the history of the line and maps of the network. The museum book ‘Żnińska Kolej Powiatowa’ by Marcin Czaja (2008) was an invaluable source of historic detail. The plans for the redevelopment of the Sugar Factory (Cukrownia Żnin) have been reported in Gazeta Pomorska (Za 3 lata chcą otworzyć centrum konferencyjno-wypoczynkowe “Cukrownia Żnin” – 20th November 2015), Naszemiasto Żnin (Hotel, muzeum, spa. Zobacz jak będzie wyglądała żnińska cukrownia – 19th November 2015) and on the Gmina Żnin website (W Żninie powstanie centrum konferencyjno-wypoczynkowe Cukrownia Żnin – 19th November 2015). 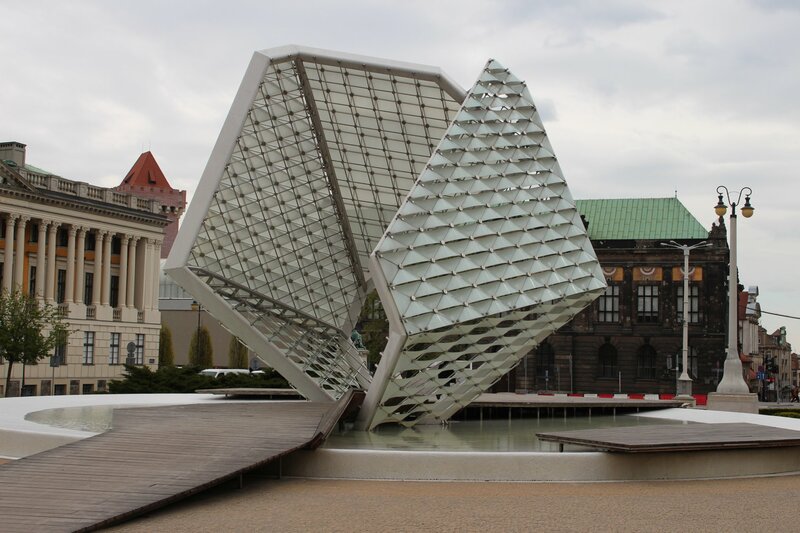 Although the articles are only available in Polish they include images of the plans for the site which show the ambitious vision of the developers. 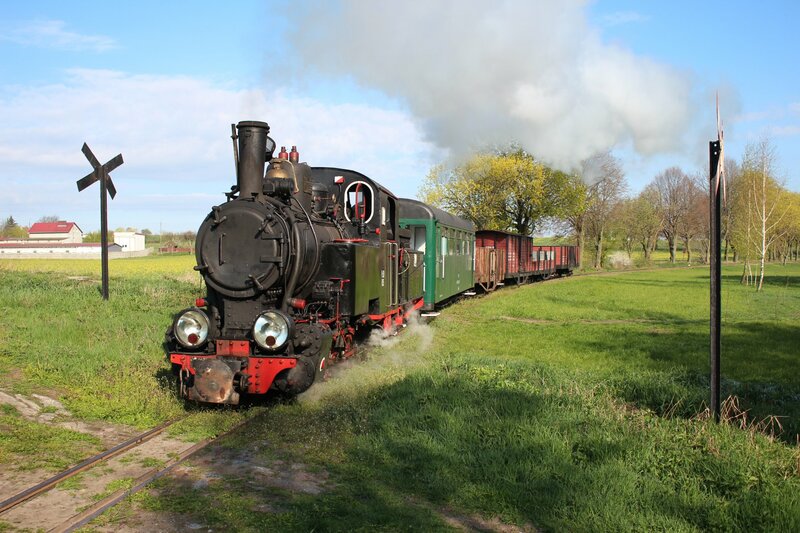 The reason for my visit to Poland is a two day FarRail photo charter on the 600mm narrow gauge line in Żnin, a 12km remnant of the once extensive 76km network. 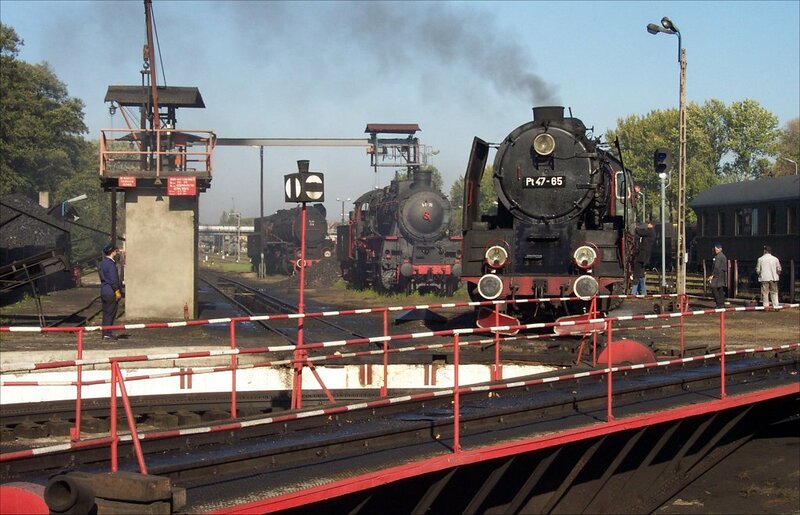 I was in good company with many familiar faces gathered at the railway station ready for the bus ride from Gniezno to our accommodation in Wenecja. The conditions outside were fairly miserable so it was a good day for travelling rather than standing around in fields armed with a camera! Along the way we got a good view of the unbroken plain that makes up most of the country, lots of flat green fields far into the distance interrupted only by the occasional forest and the inevitable sight of new motorways under construction (in this case the S5 from Gniezno to Żnin, a part of the unfinished express road between Olsztyn and Wrocław, which is due for completion in July 2017). 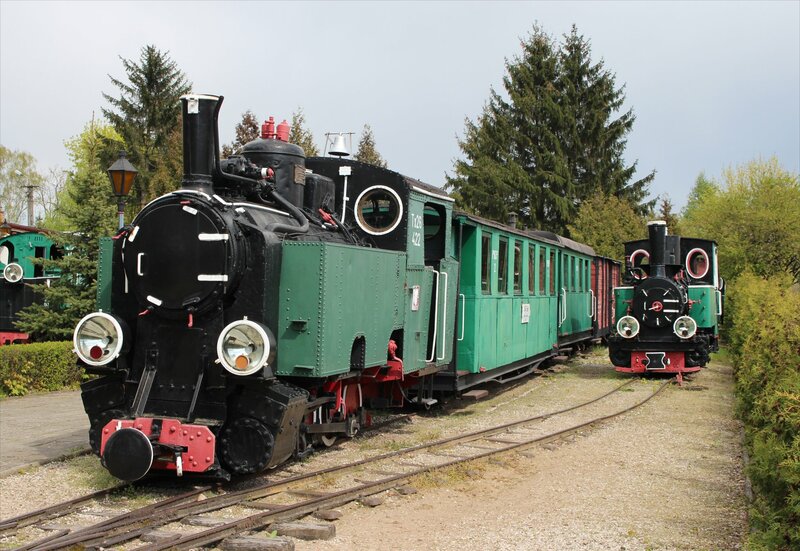 Our accommodation for the next three nights would be the Hostel Wenecja, which is actually located in the administration block of the open air narrow gauge museum at Wenecja. It clearly spends most of its life filled with school children and it’s geared up for large numbers – every room had more beds than we needed. Our tour leader, Bernd, directed us to ‘Take a room, any room, no matter how many beds it has in it!’ and I soon found myself in a room with 4 bunk beds. Room enough to swing multiple cats! The plan had been to attempt some night shots on the turntable in front of the roundhouse in Żnin but this unravelled fairly quickly. 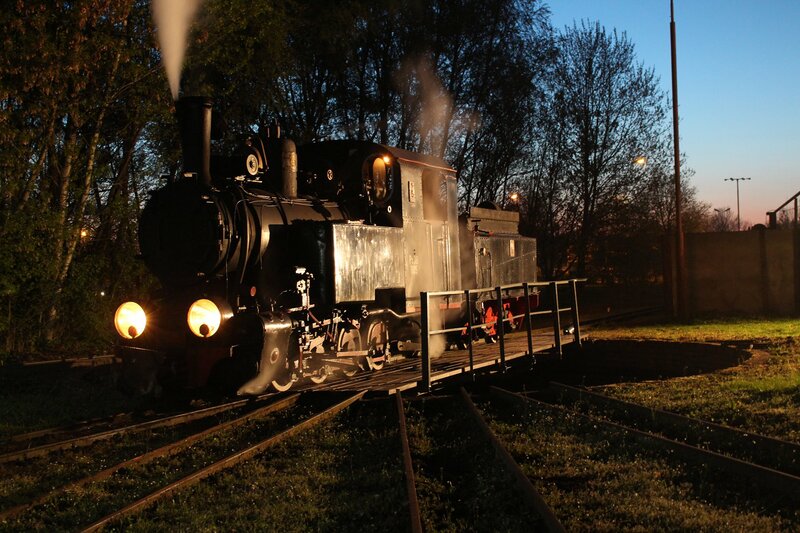 On our arrival we discovered that the locomotive was still in the depot and quite definetly cold, so we’ll try again another night. Instead, our driver knew of a marvellous place that we could buy some beer despite the late hour, which turned out to be Tesco Żnin! Once our supplies had been replenished it was time to head back and grab what sleep we could, ready for a 4am start in the morning.